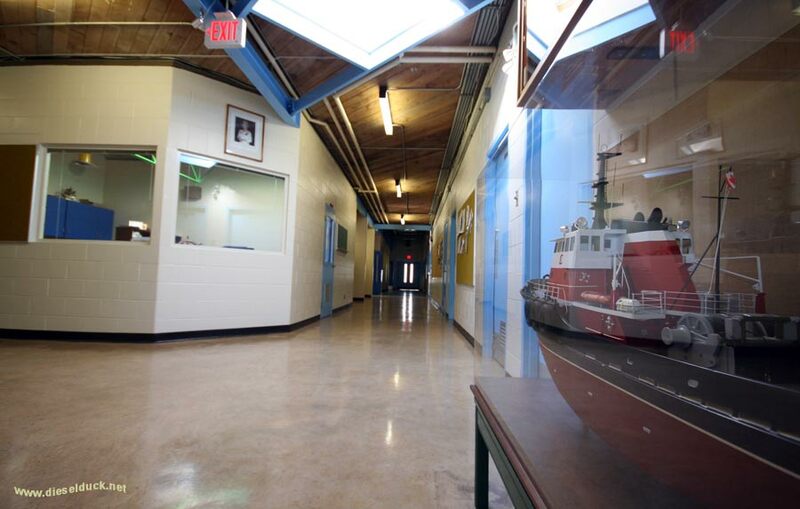 Take a visual tour of the various facilities across Canada, that train seafarers. 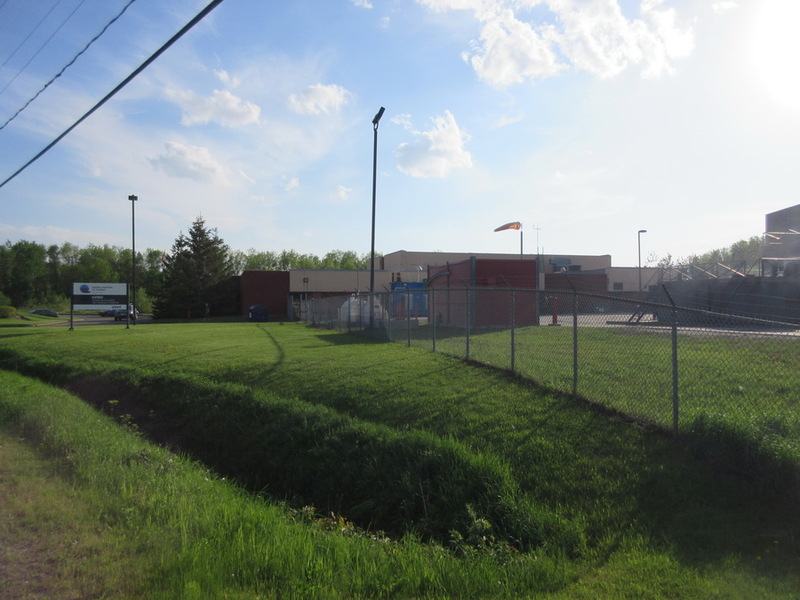 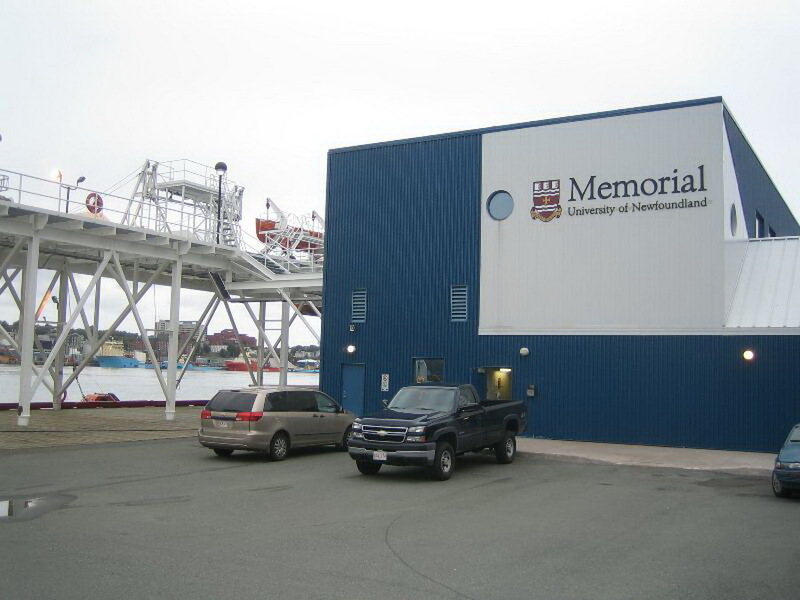 Most facilities are run, and funded by Provincial Governments, although the Federal Government does subsidize considerably, usually in the area of simulators, which is why those facilities look familiar across the country. 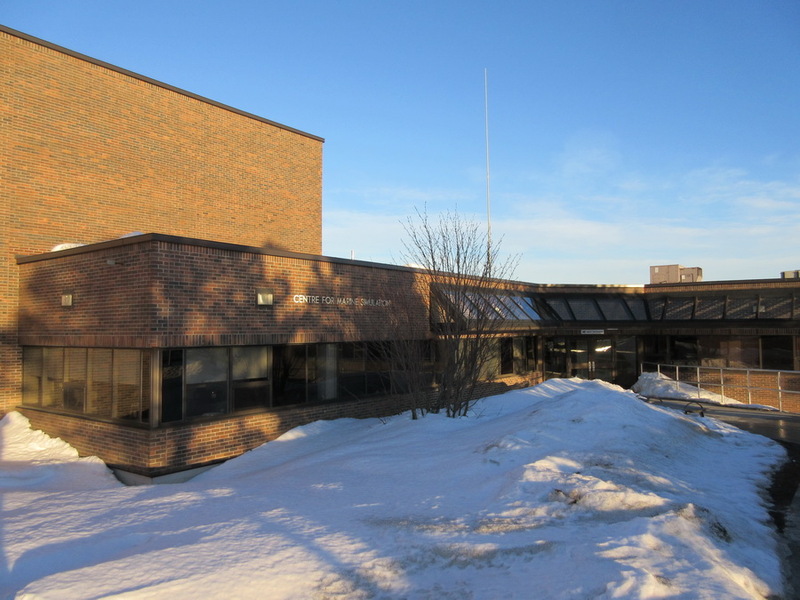 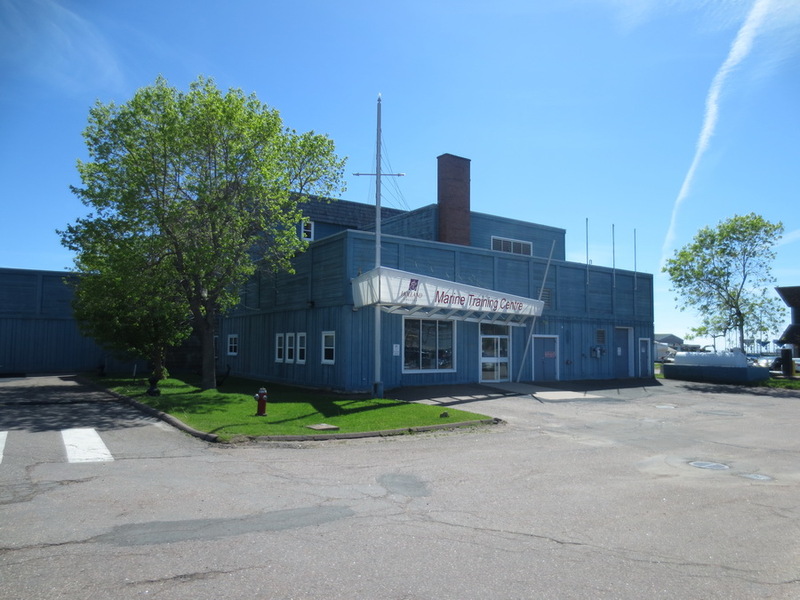 The Canadian Coast Guard College, in Sidney, Nova Scotia, is federally funded, as is the two Naval Marine Engineering schools located in Victoria and Halifax. 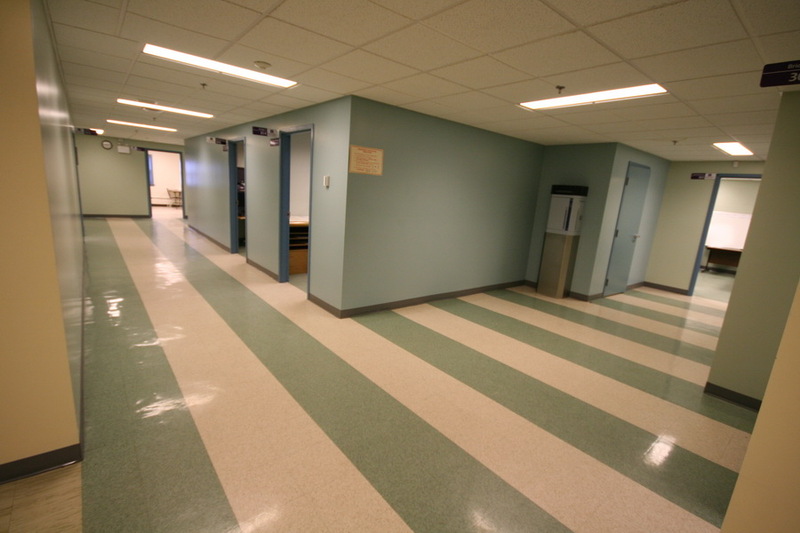 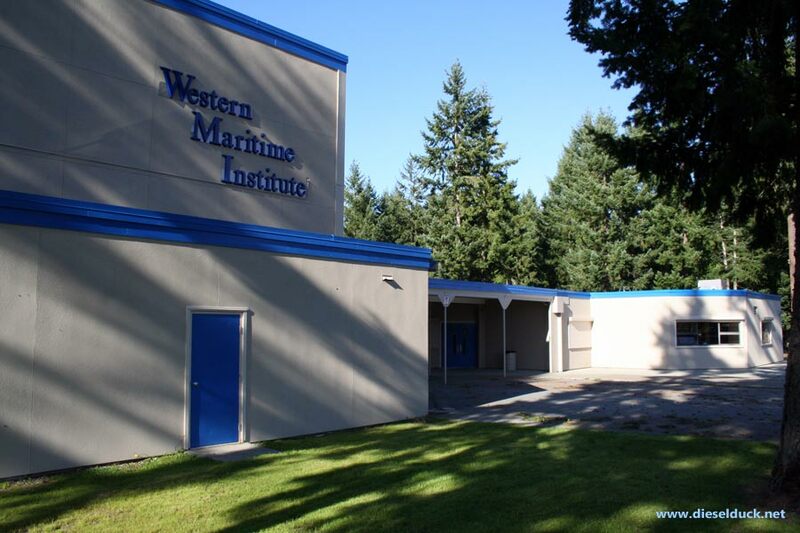 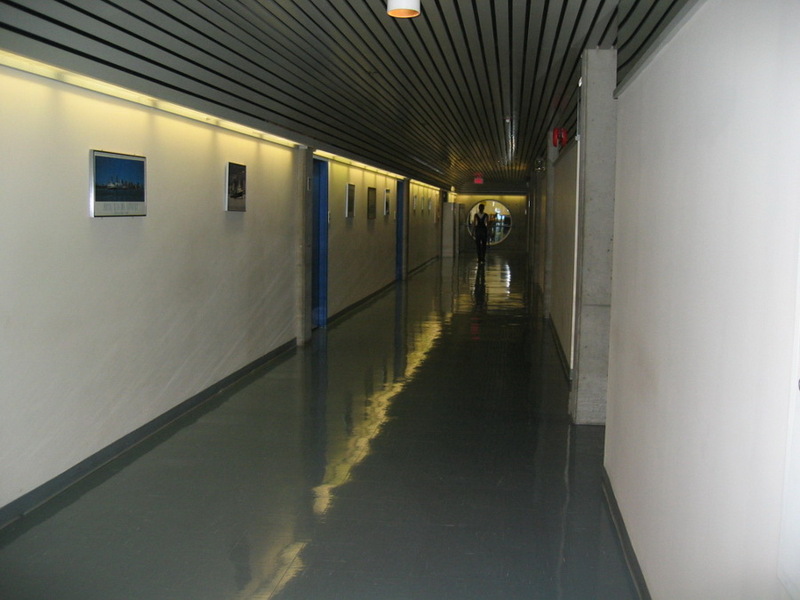 Western Maritime, near Nanaimo, is the only significant sized privately funded institution. 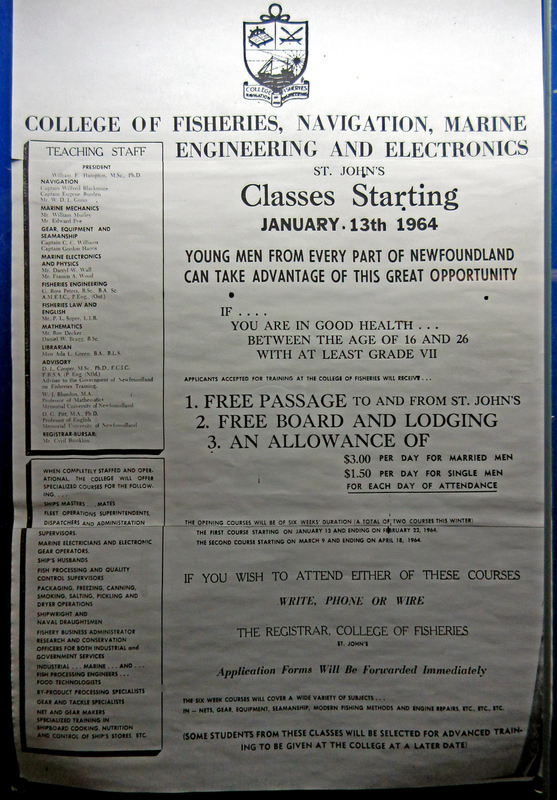 There are numerous other institutions that offer marine training, but are usually short courses, or limited in scope. 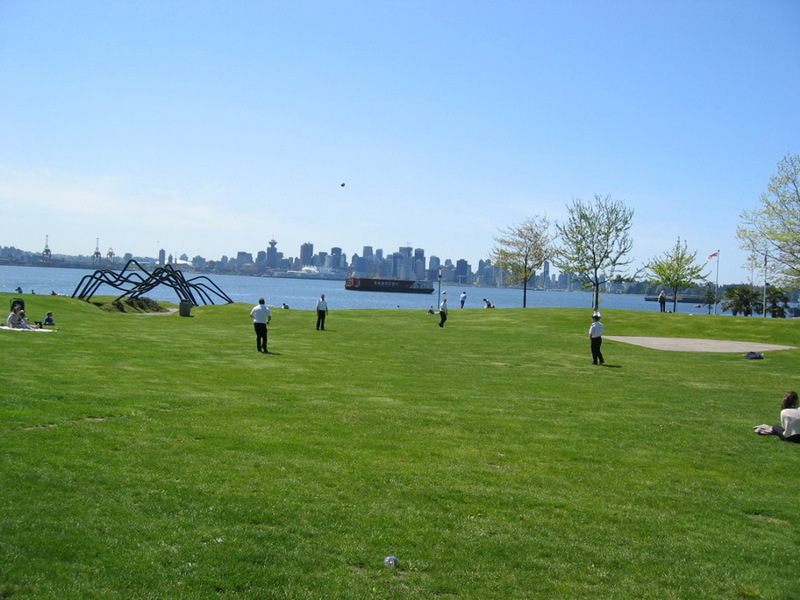 Keep in mind, some of these pictures are getting a bit dated, as Canada is a big country and getting to all these schools is quite a trip. 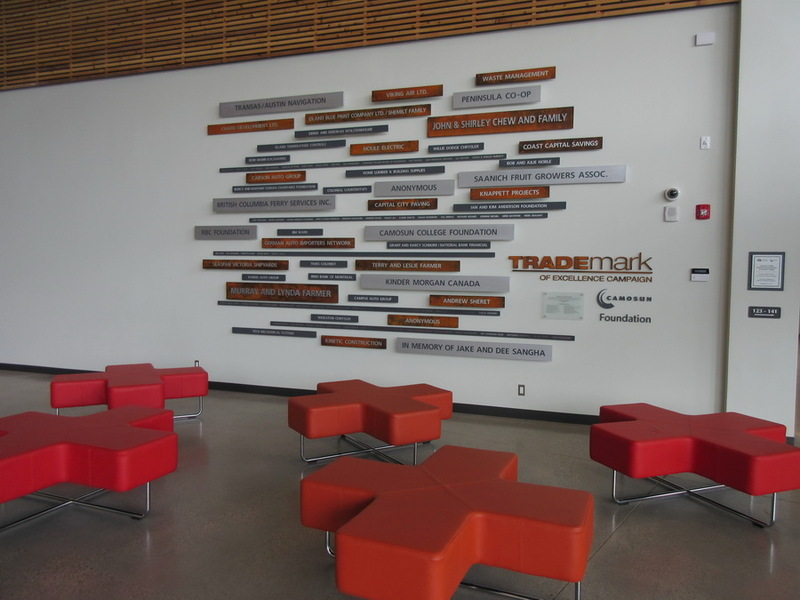 Many of the institutions in Canada are in a midst of renewal, so there are considerable modification ongoing. 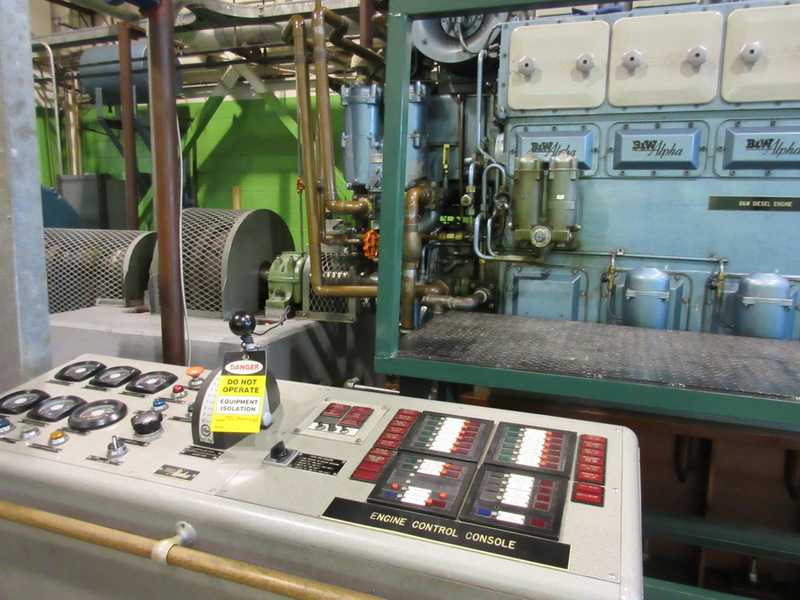 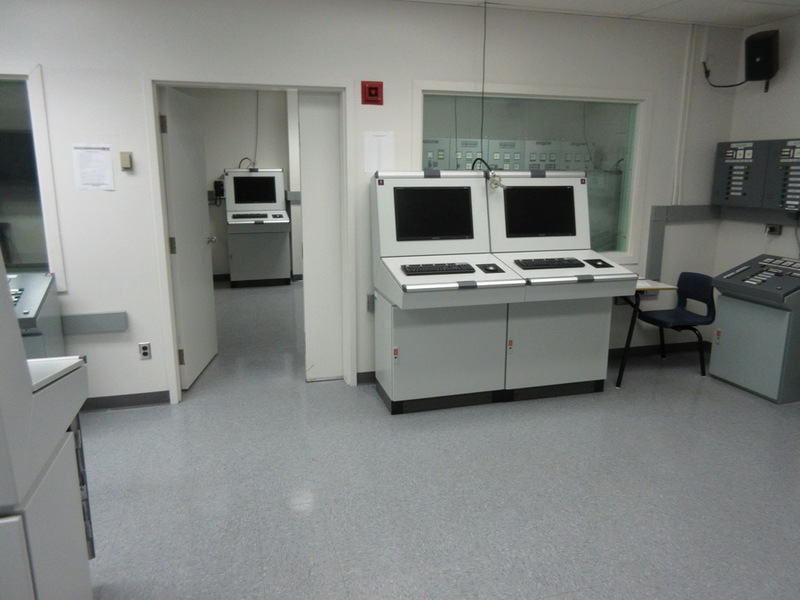 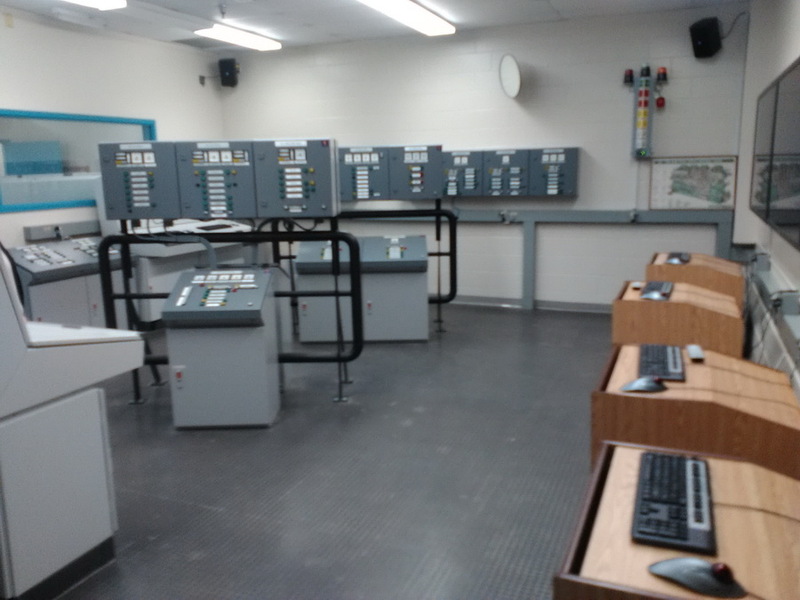 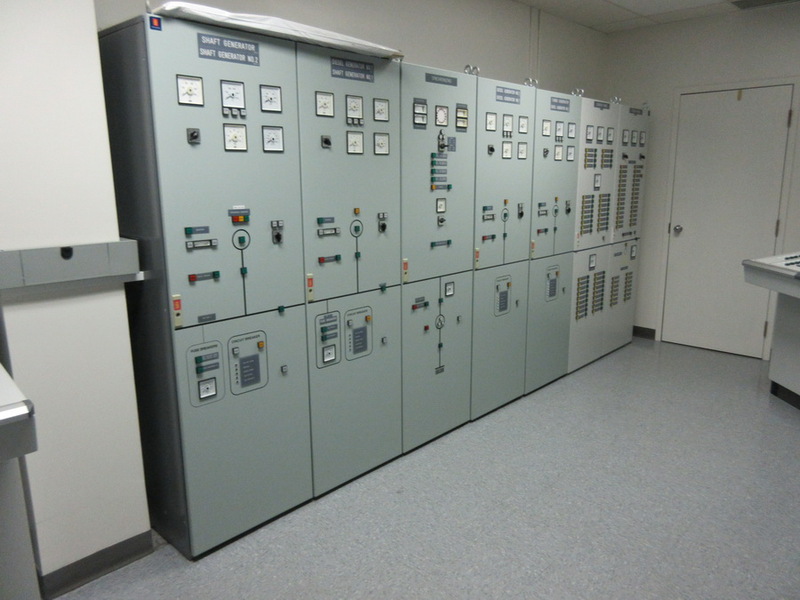 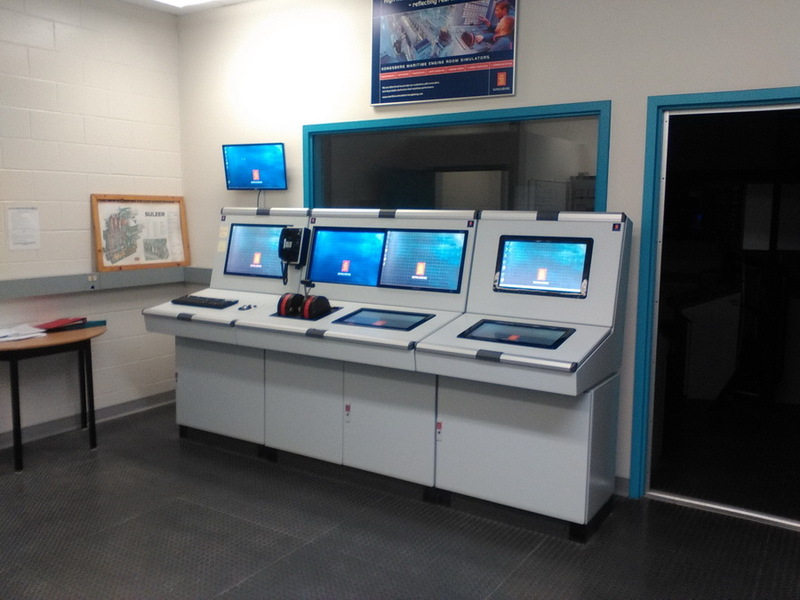 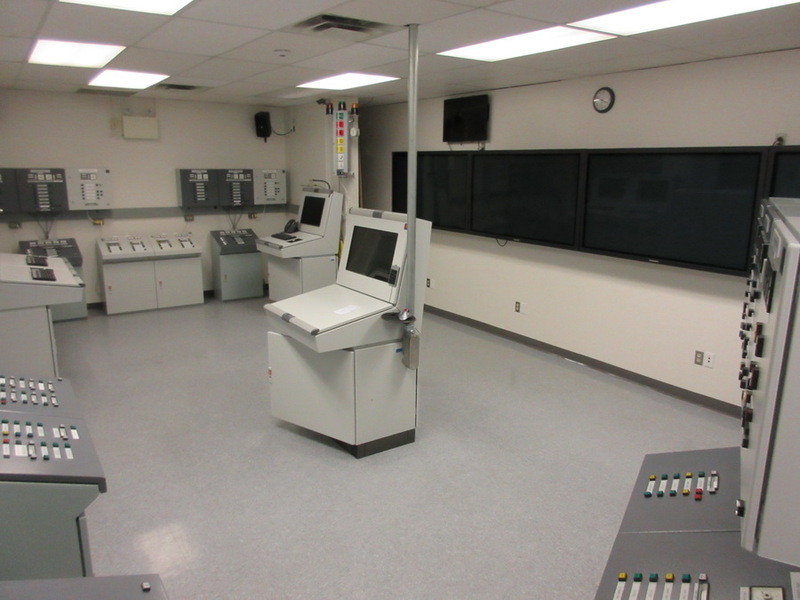 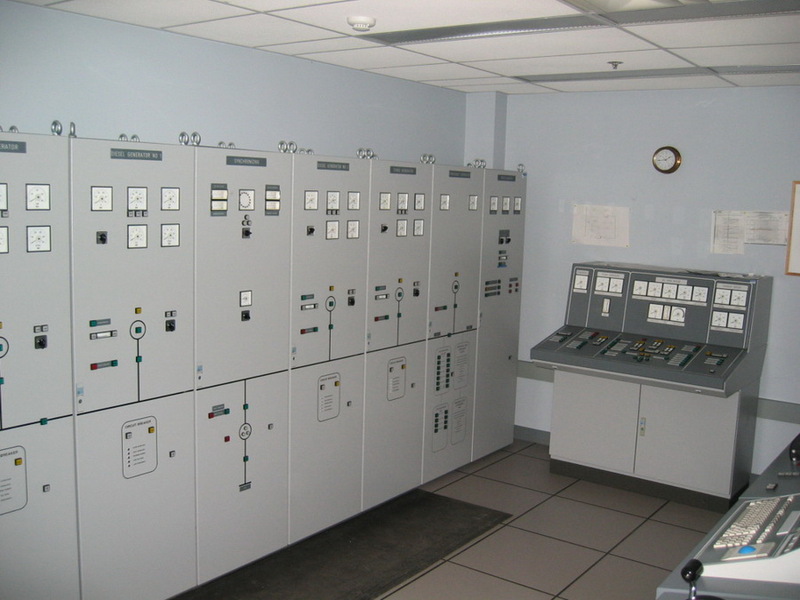 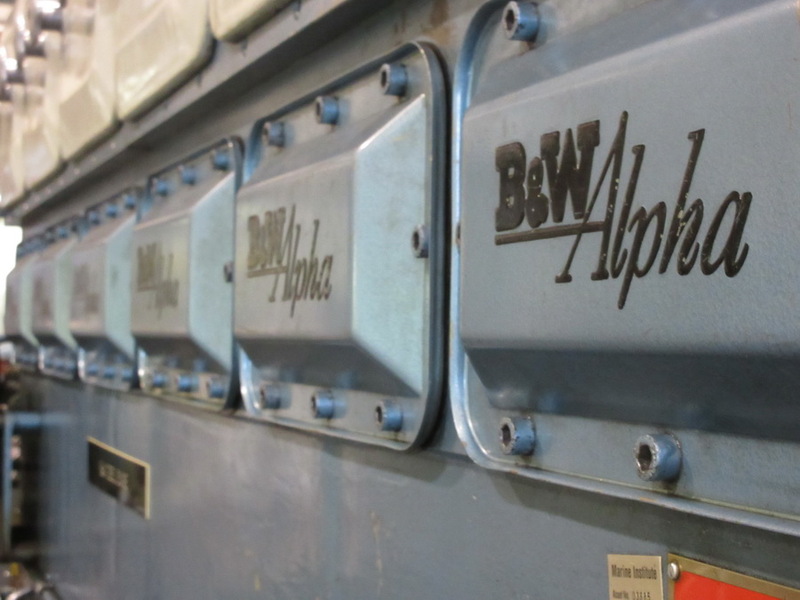 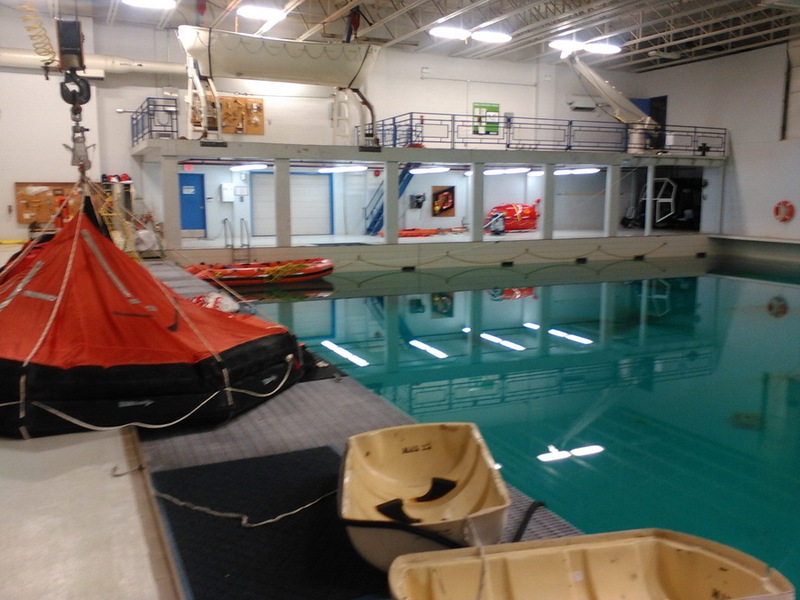 Recently, upgrade of the Engine Room simulators across Canada occured, and now many institutions have recently updated their Survival Craft facilities to handle new STCW2010 requirements. 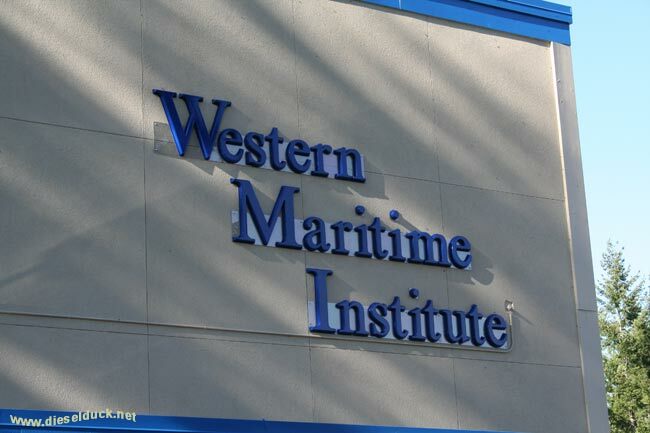 Western Maritime is the only privately funded marine training institutions in Canada, and its sole focus is to train seafarers, whereas other institutions' marine programs are small parts of their overall education portfolio. 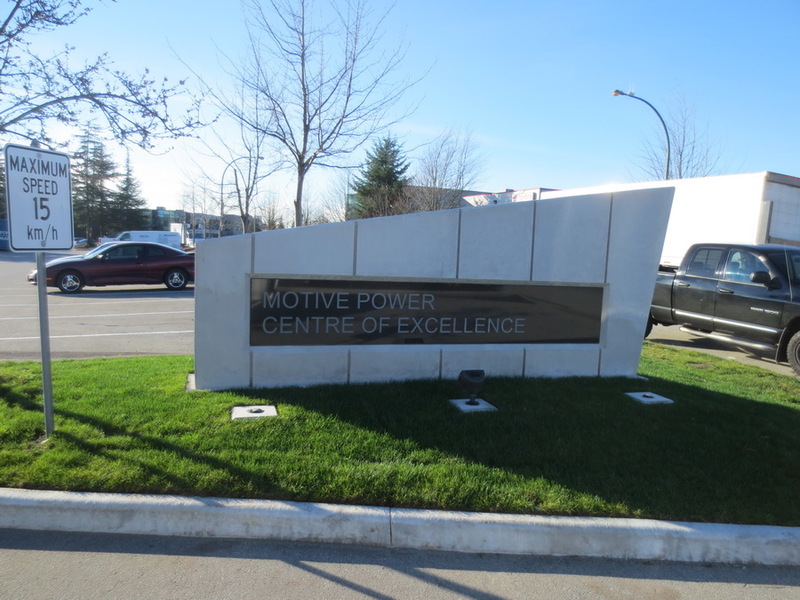 Being near my home, I've been fortunate to see this tremendous project grow from allot of passion and drive by the now retired, Capt. 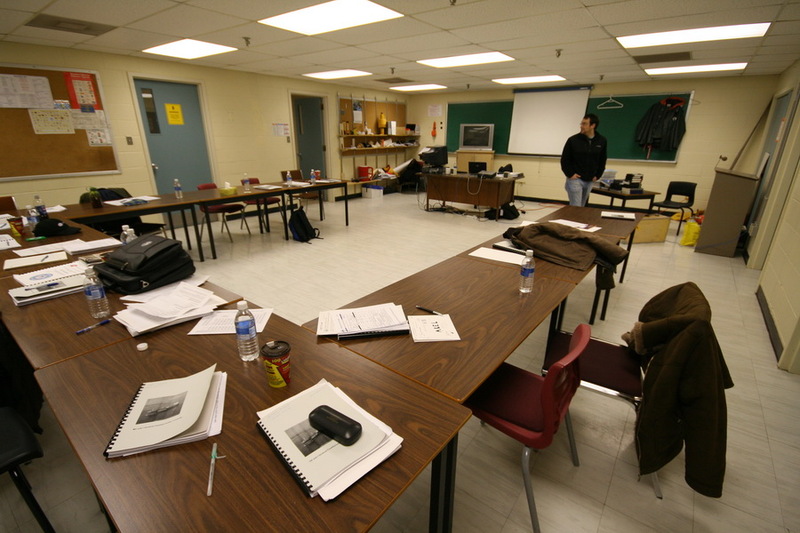 Kitching. 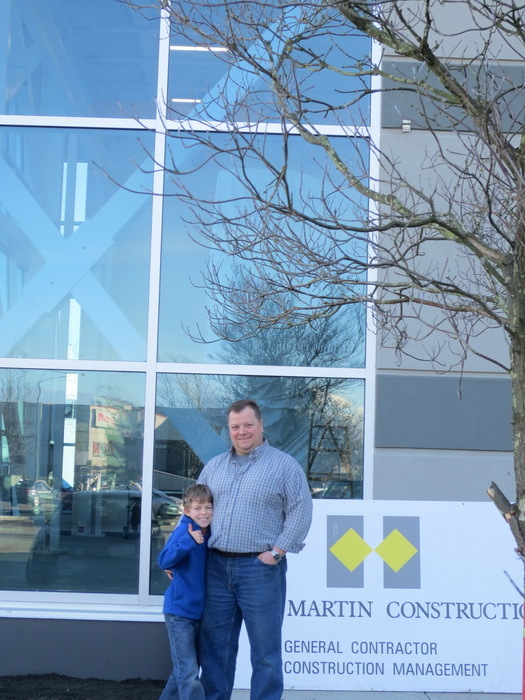 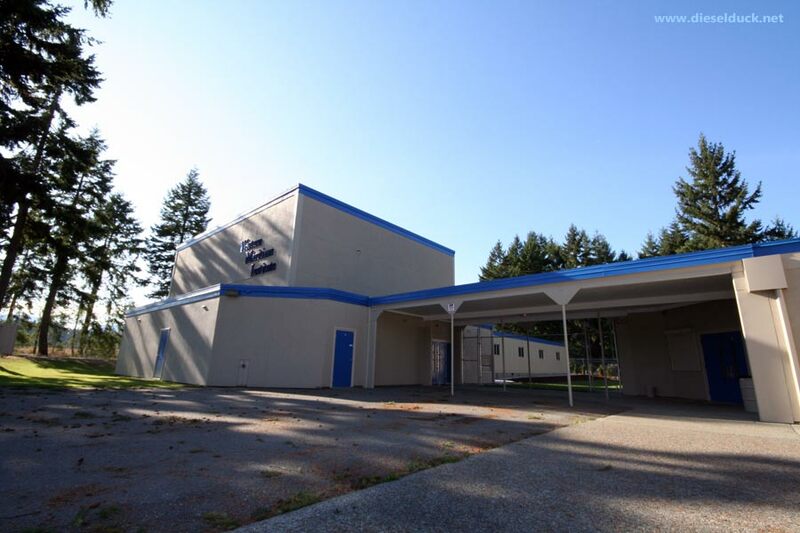 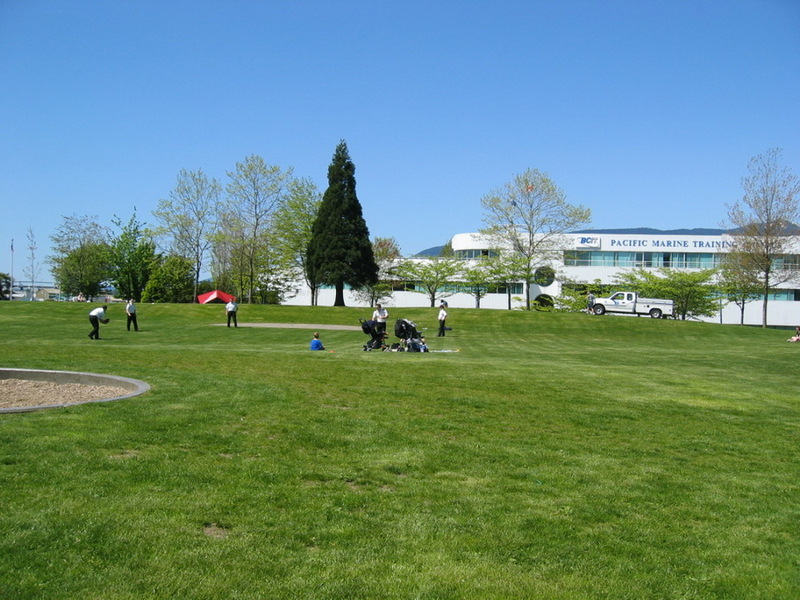 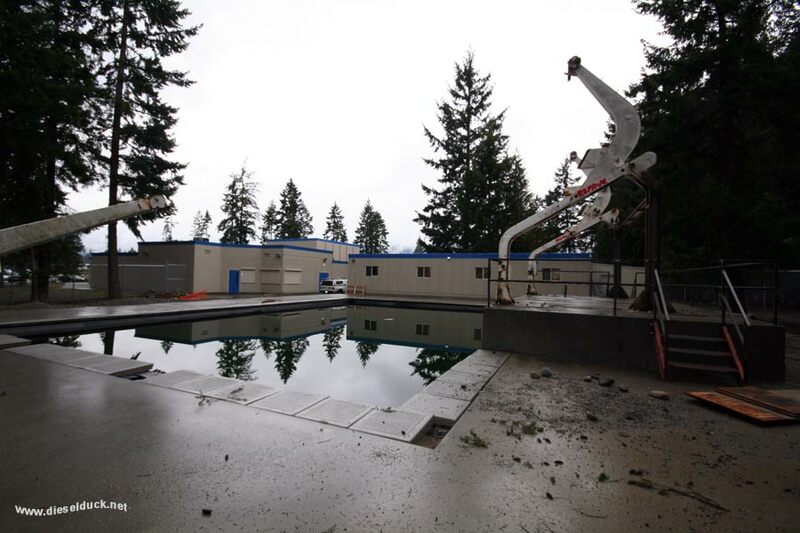 Situated on a sizable chunk of land near the Nanaimo Airport, that once housed an elementary school, the grounds have been re-developed considerably into an all inclusive training facility, with onsite accommodations. 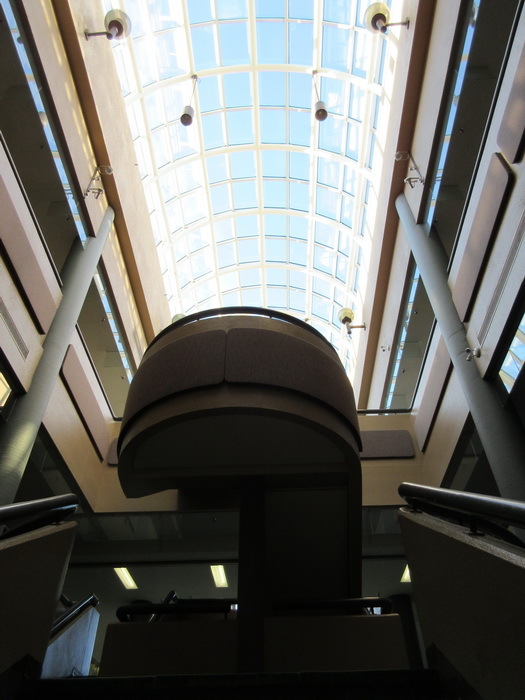 You can read about its inception here. 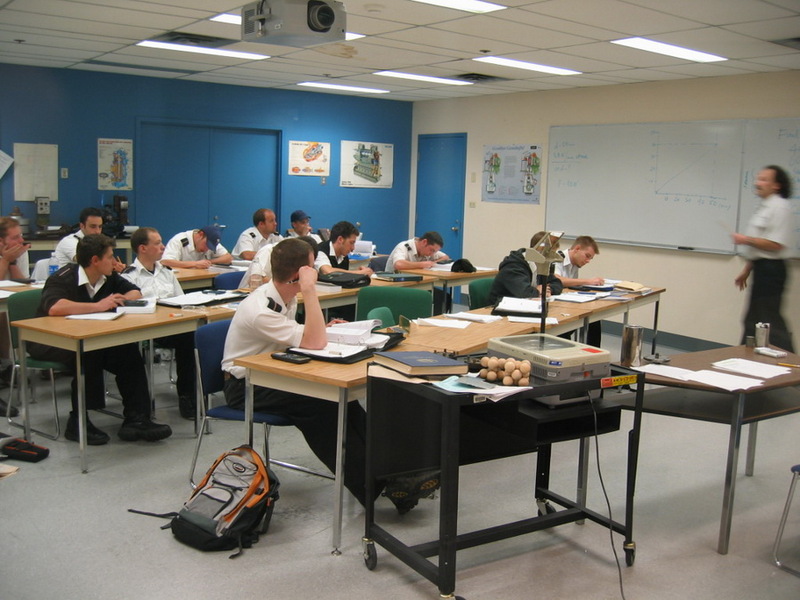 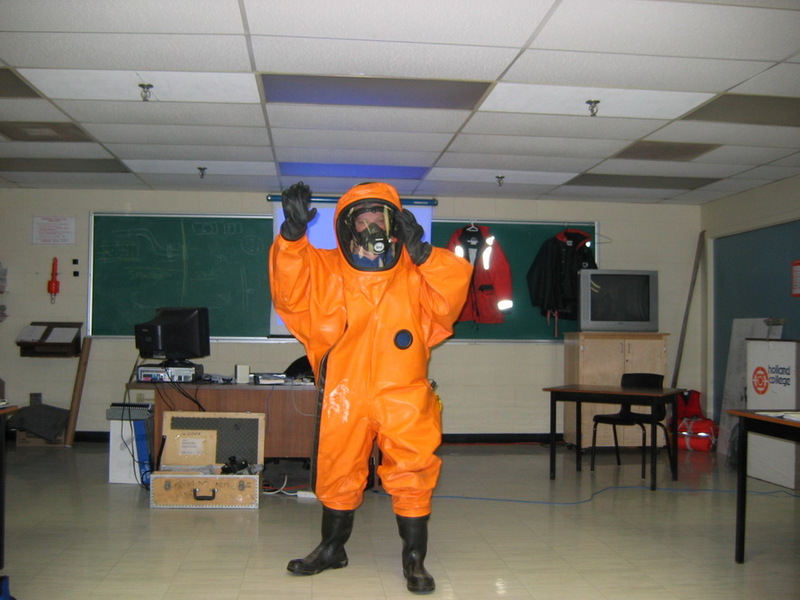 Seafarers can access all required "short courses" such as firefighting, first aid, survival craft, etc, in one location. 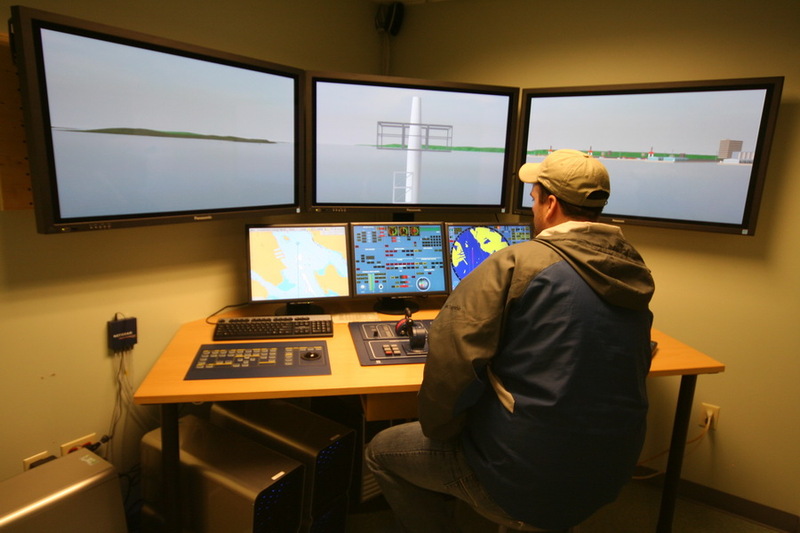 The longer programs have been centered around Navigation, but in 2017, has expanded into Marine Engineering. 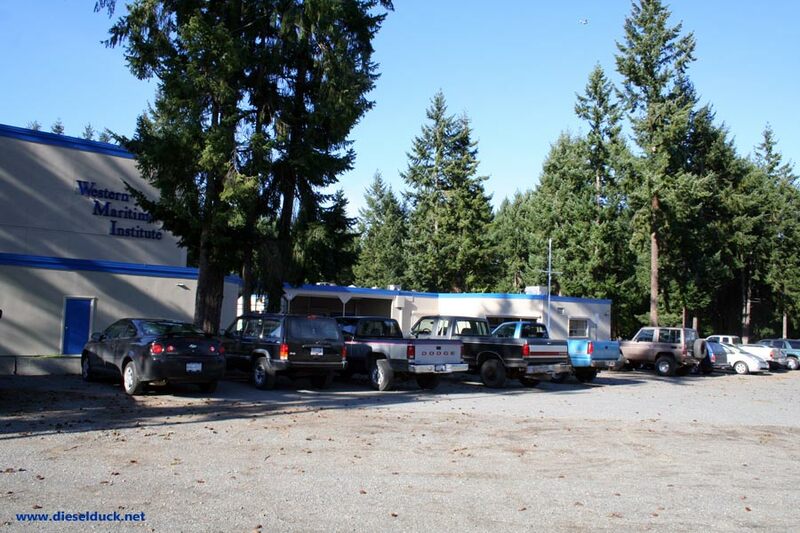 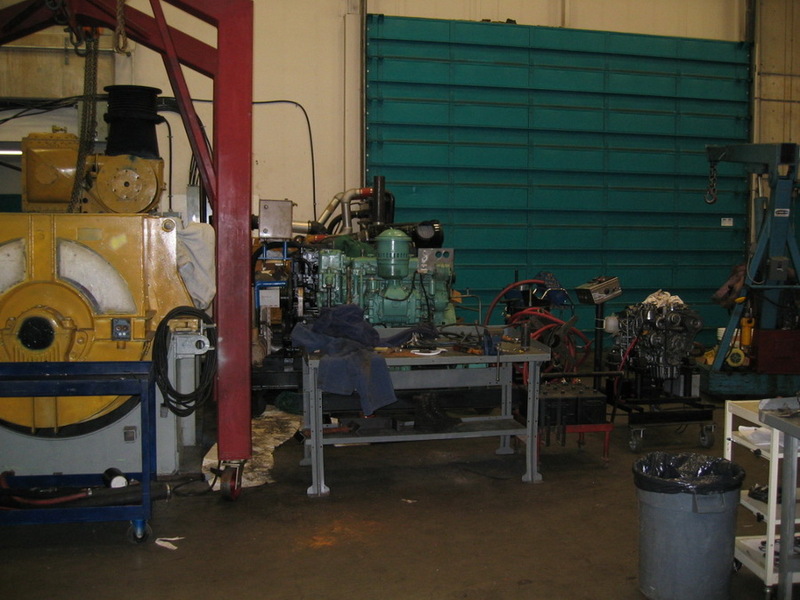 The Interuban Campus of Camosun College is home to most of the trades program, such as Heavy Duty Mechanic, Diesel Mechanic and such. 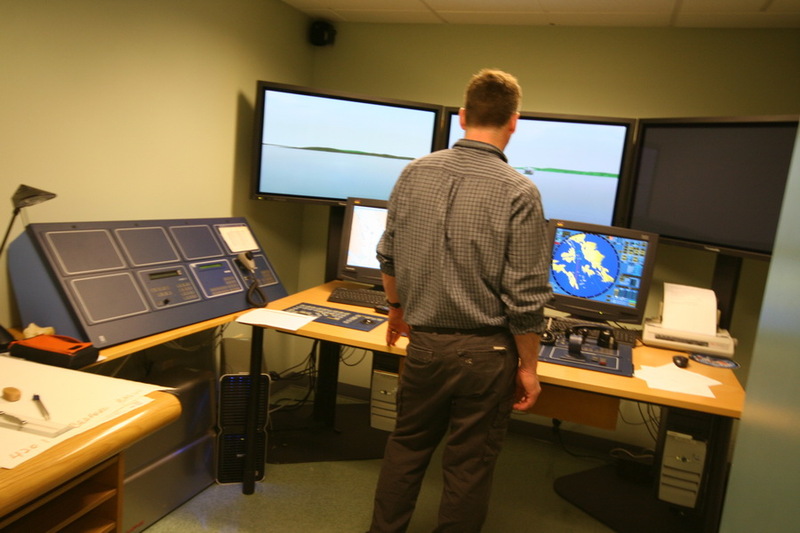 It has also been home to various Navigation training over the years. 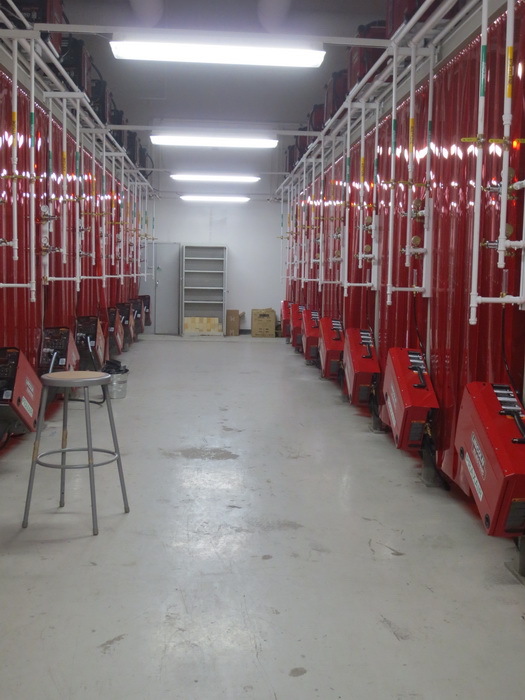 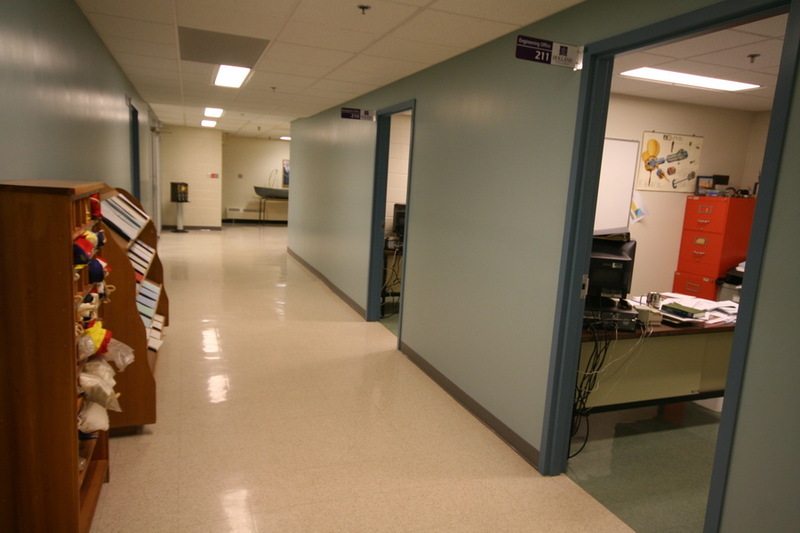 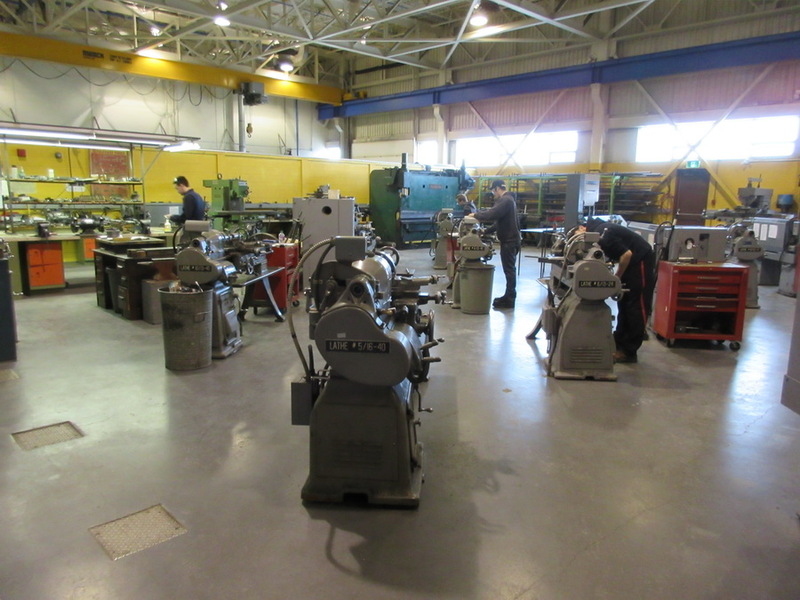 In 2016, the college opened up a new, modern facilities to housed its "trades" department. 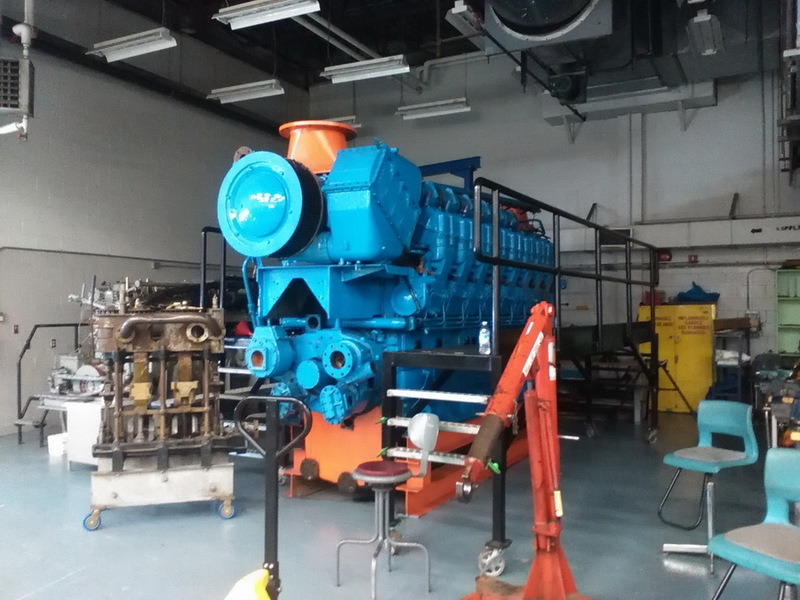 Expecting to find the large Diesel engine that Wartsila donated, I went to visit shortly after it's completion, and was disappointed to find the diesel program area unfinished - and no engine in sight. 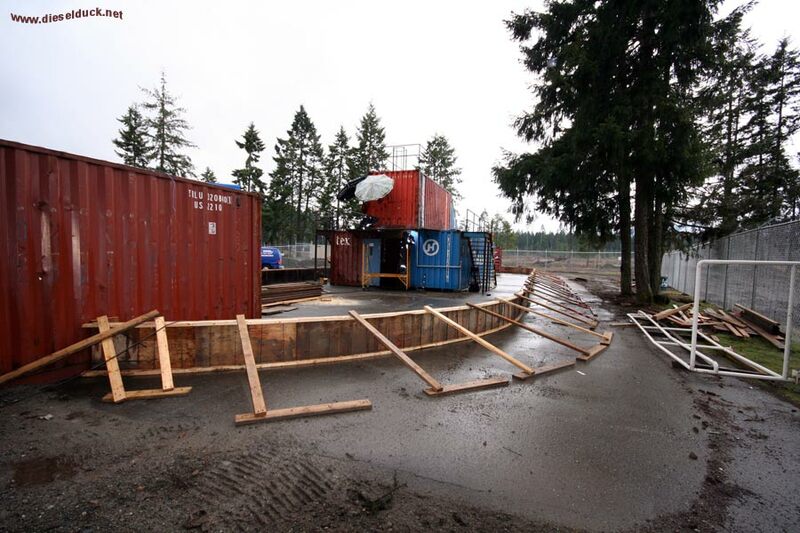 However I did spy a nearly completed navigation training facilities, sponsored by BC Ferries. 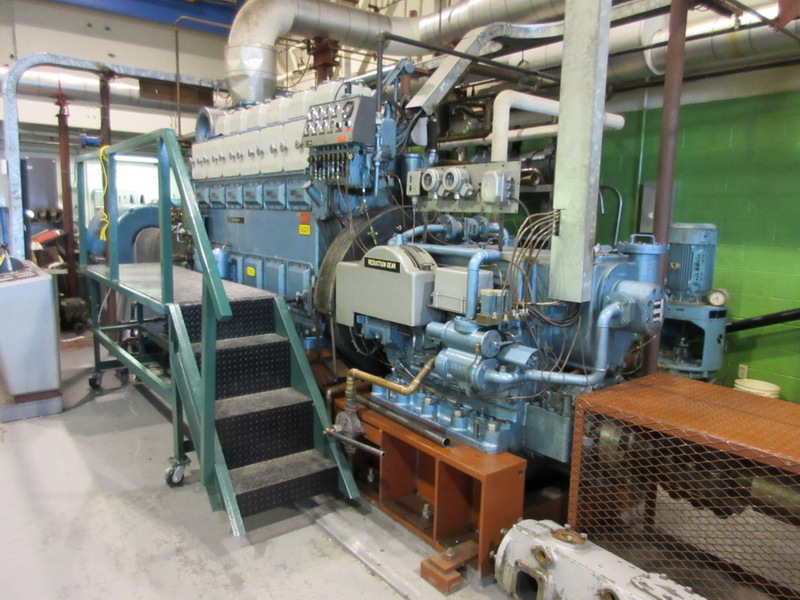 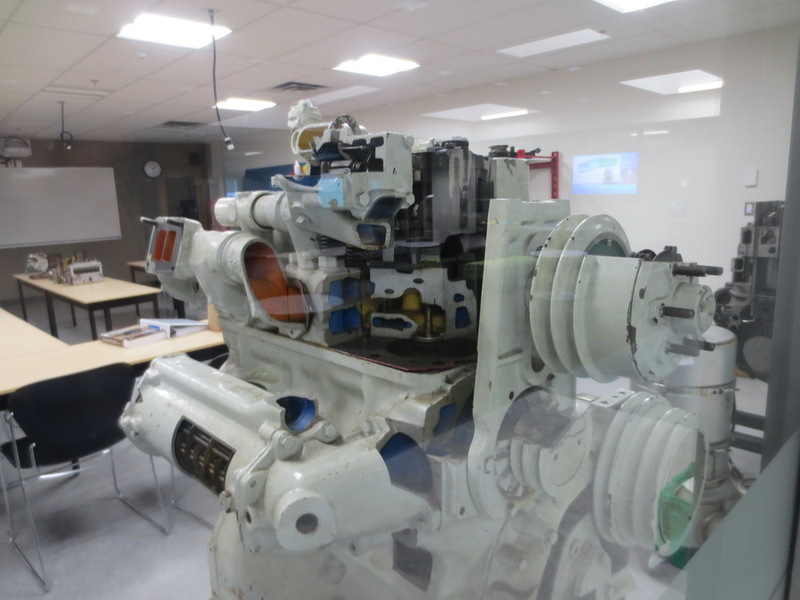 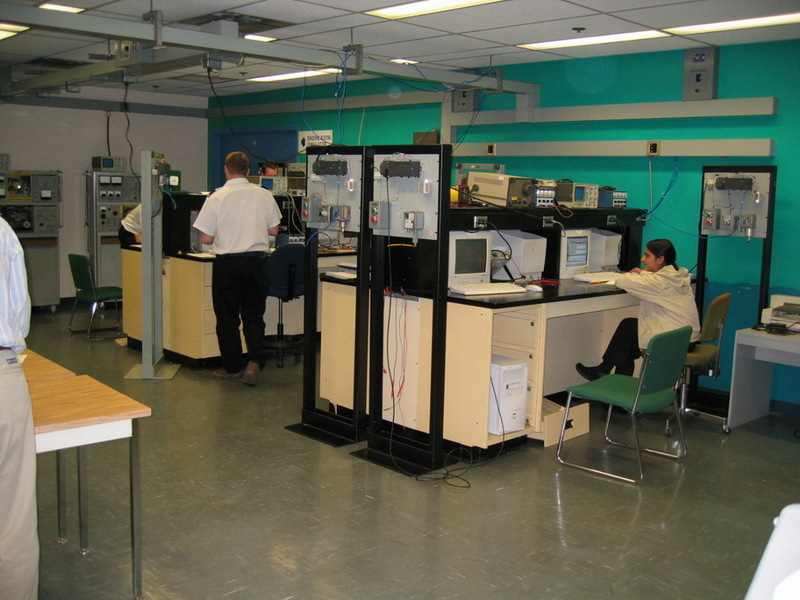 BCIT is one of the largest providers of training in Canada, and the Marine Campus has been producing Deck and Engine Officers for many decades. 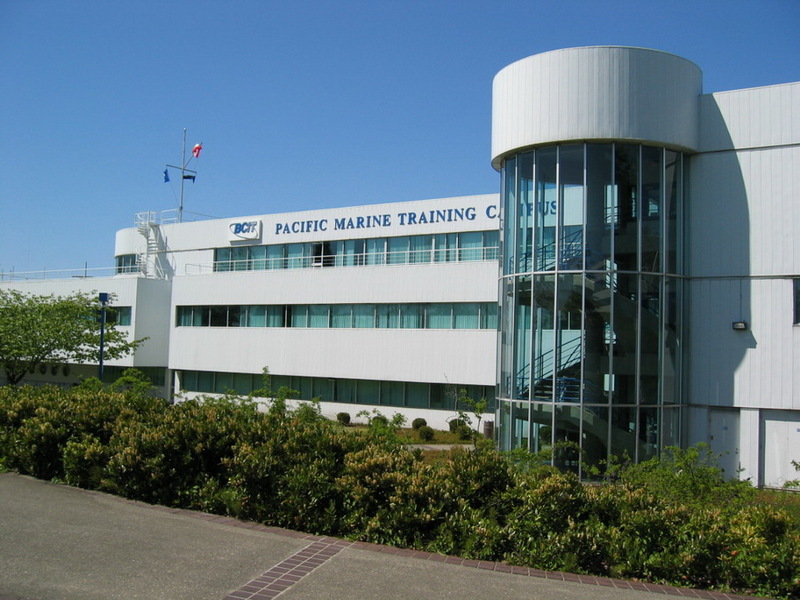 Before 1998, it was known as Pacific Marine Training Campus, and was housed in a purposed built facility on the waters edge., across from downtown Vancouver They offer a full training program including both Deck and Engine Cadet programs, however firefighting is done at sister training organization, BC Justice Institute, in Maple Ridge. 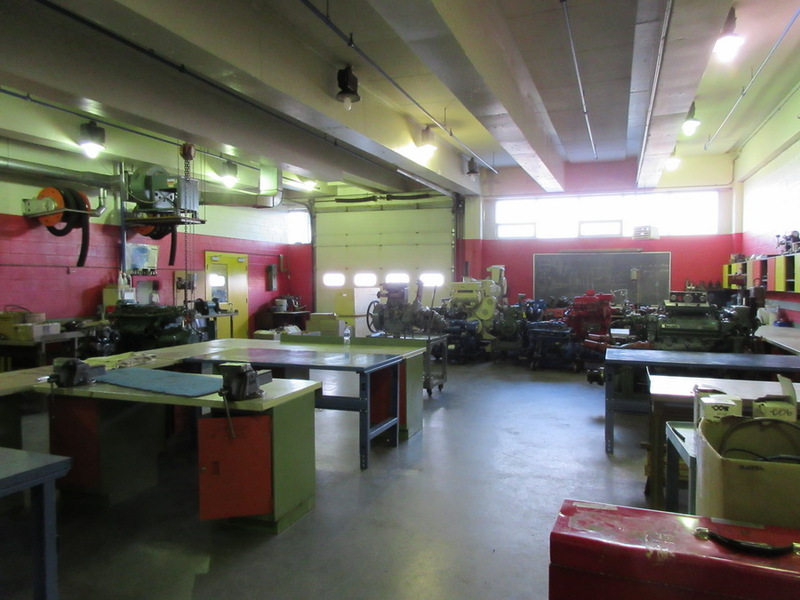 Numerous classroom, modest shop facility, MED training tank, lifeboat davit, and library are onsite. 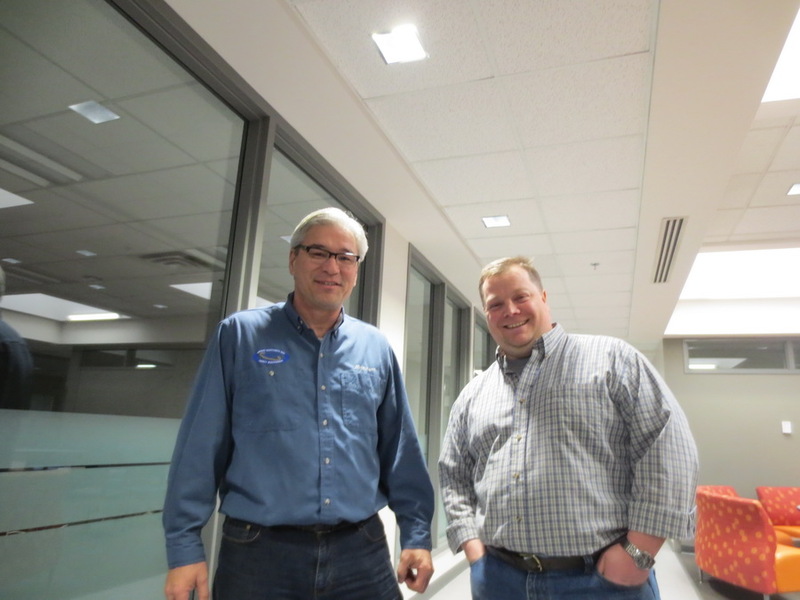 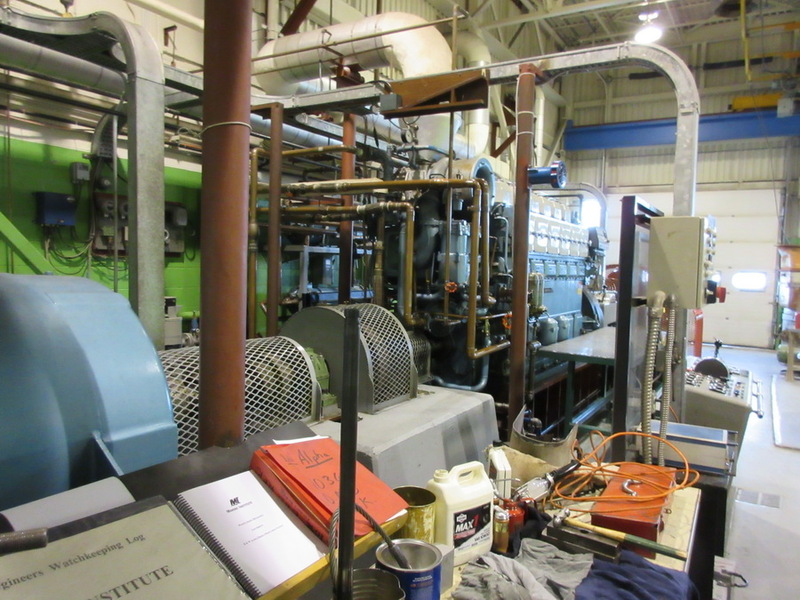 In 2015, BCIT was putting finishing touches on its new Motive Center on Anacis Island, when I visited long time Marine Engineer Instructor, Russel Oye. 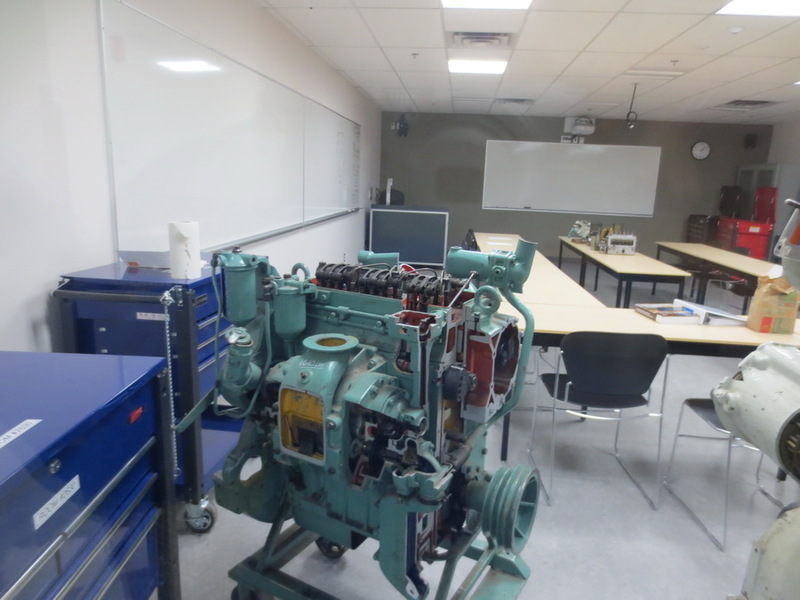 The new facility groups all of BCIT mechanical trades under one roof, and is anchored, literally, by the massive MAN donated engine. 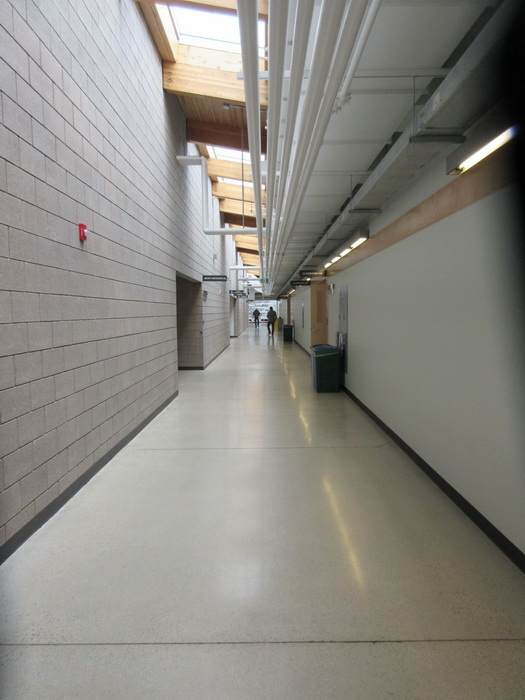 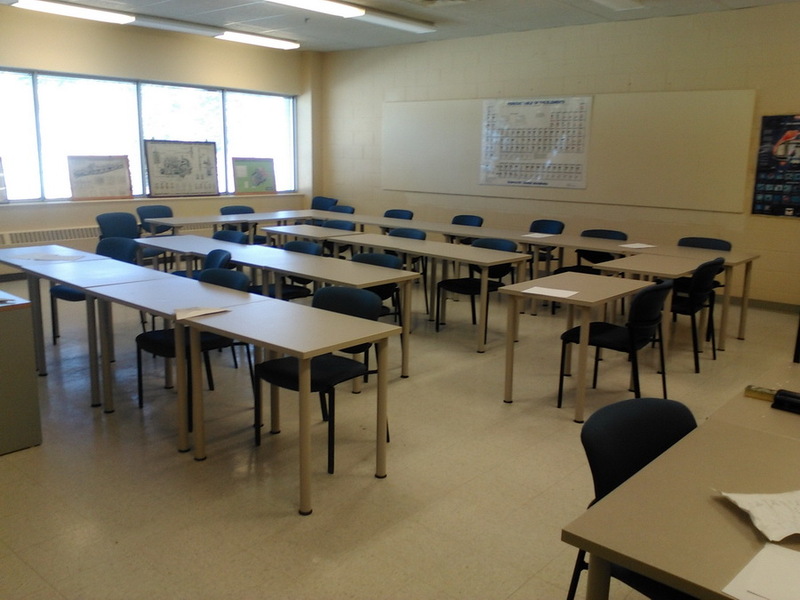 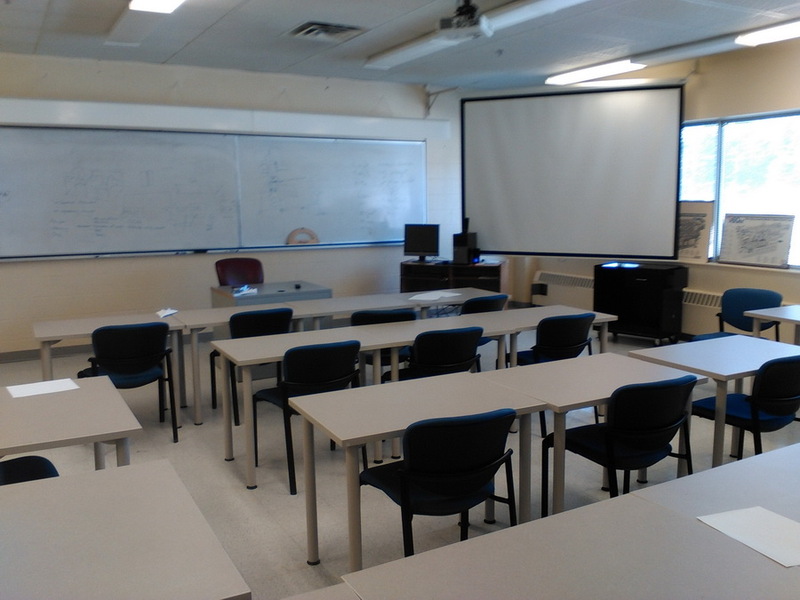 On one hand BCIT has large training resources, but on the other, their are a considerable distance apart. 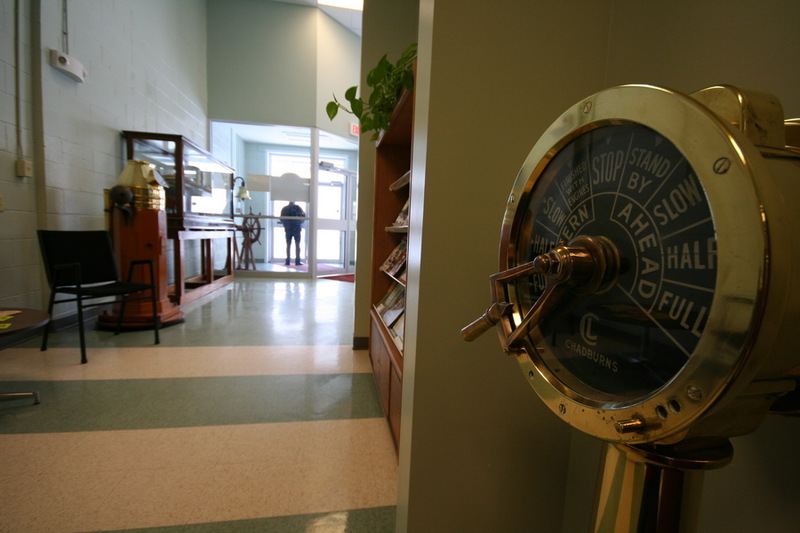 Owen Sound is well known in Canada and has been producing mariners for any decades. 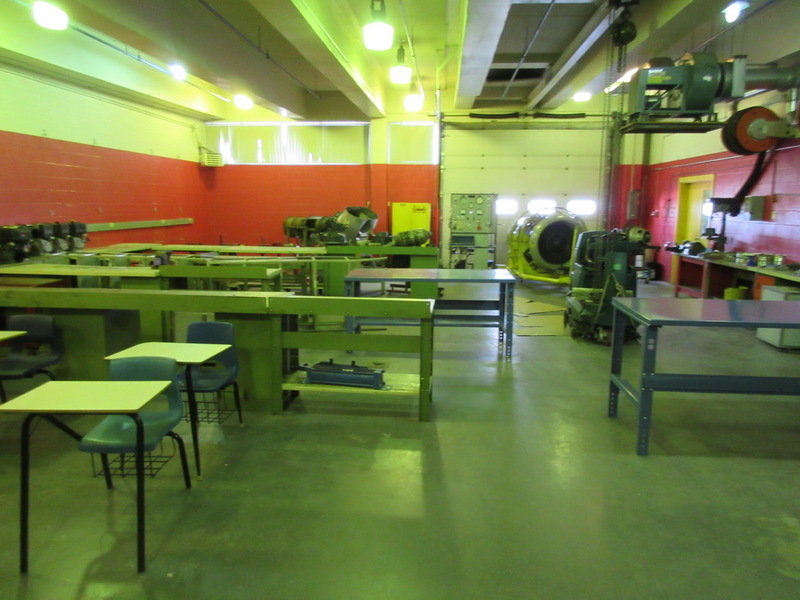 They have a full course program available, including Deck and Engine Cadet Program. 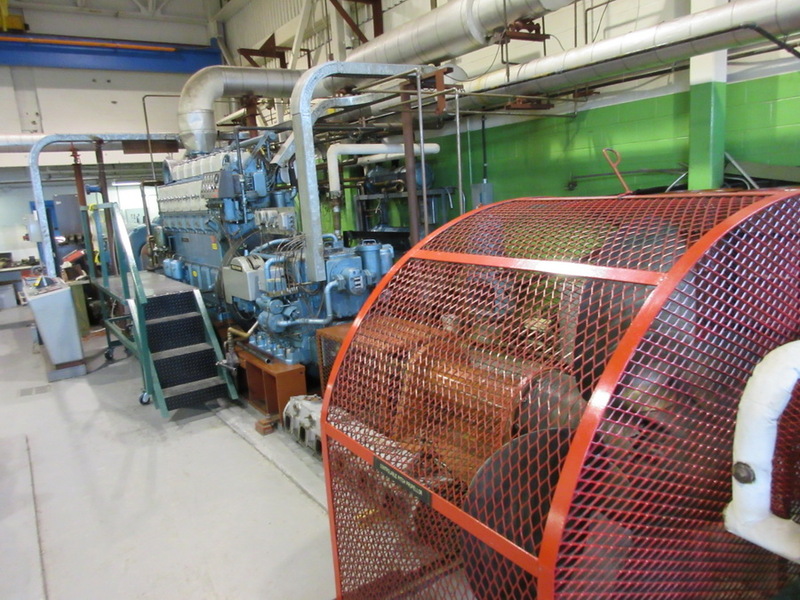 They have a Navigation and Engine room simulator, library, shops including a large MaK engine on site. 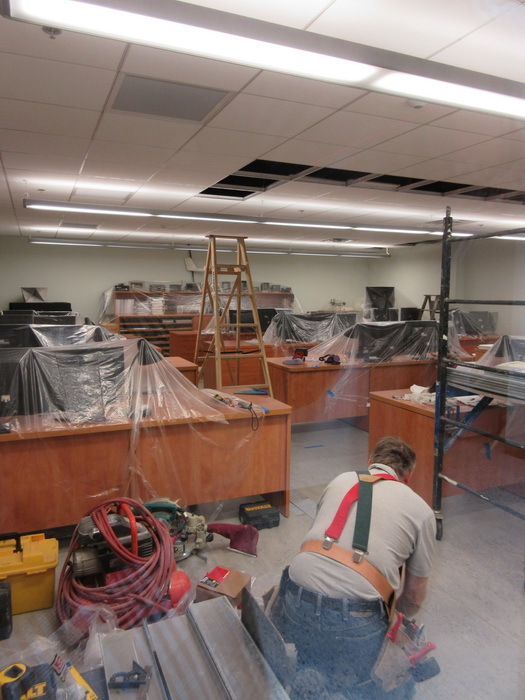 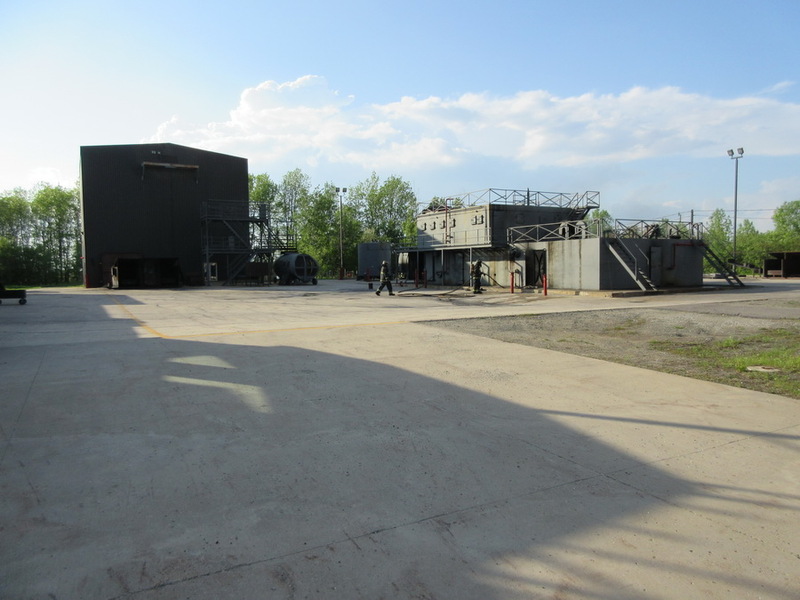 They have a satellite training campus in St Catherine's, which is currently (2017) undergoing extensive redevelopment. 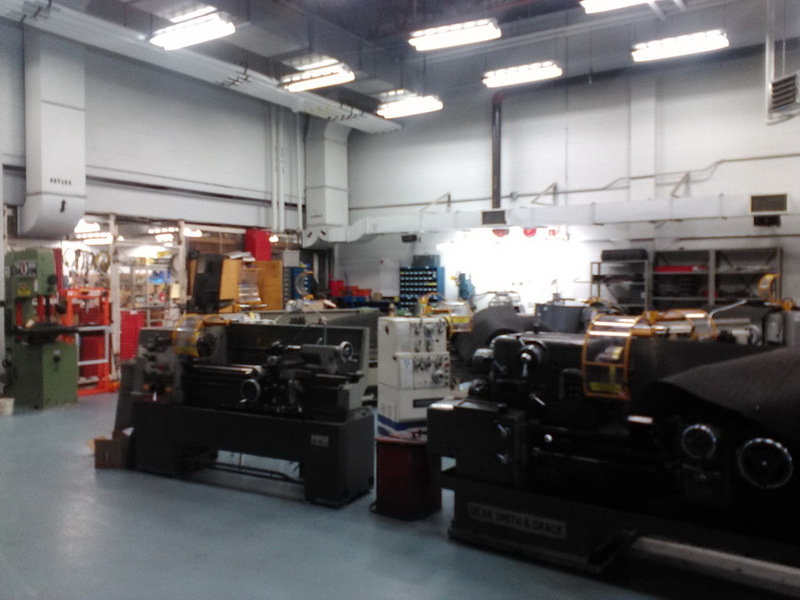 I hope to visit them soon. 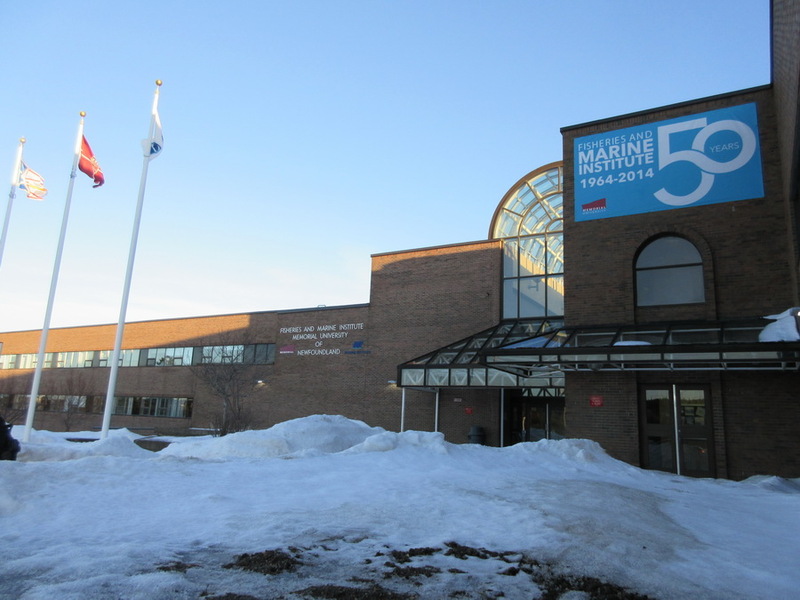 "Rimousky" is a "full service" marine training institutions, and maritime cluster, and they are the only training institution predominately French speaking. 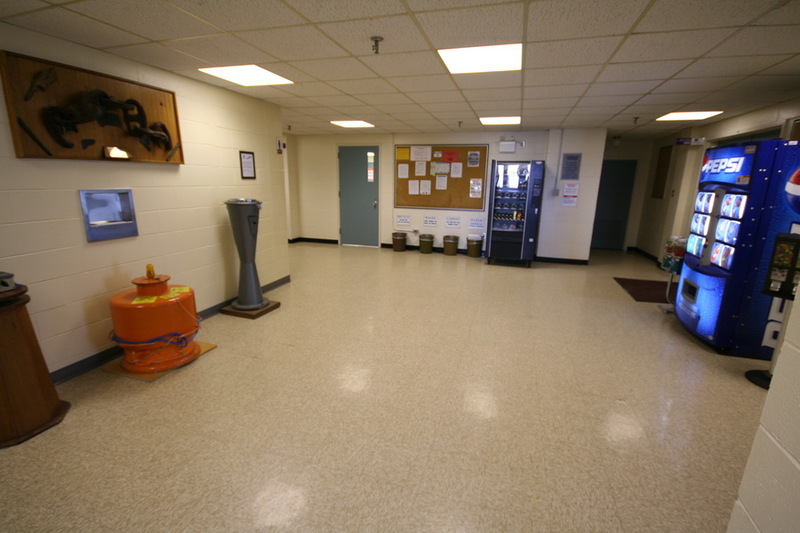 They offer both Deck and Engine cadet program and have extensive facilities, albeit a bit dated, including student housing. 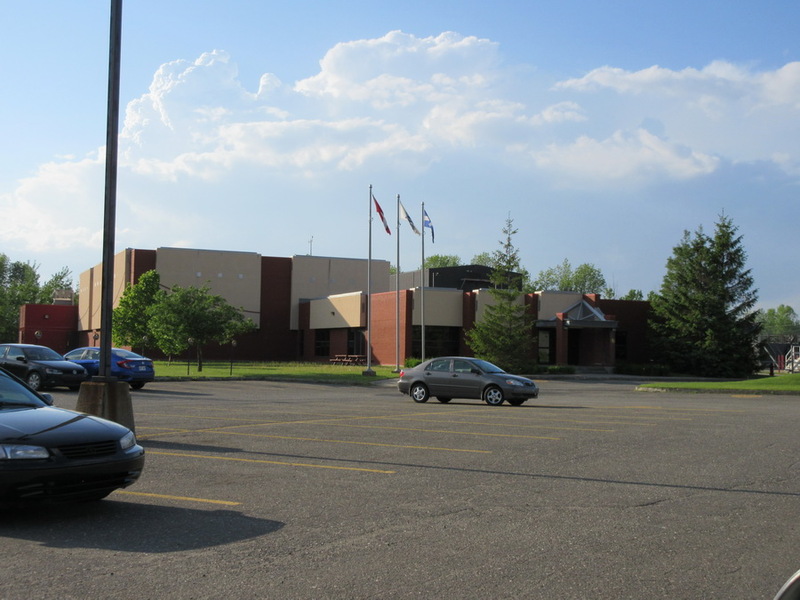 I hope to visit them soon. 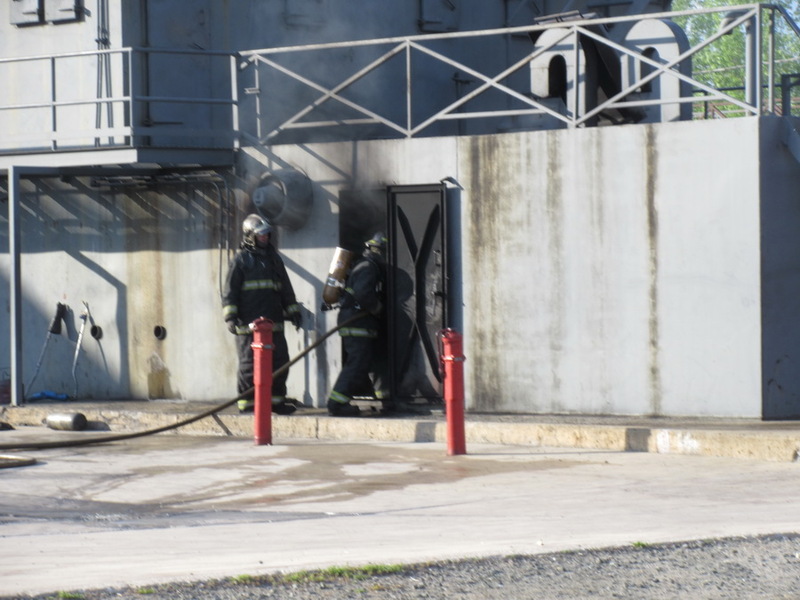 They have a satellite campus in Levi, near Quebec City for fire fighting and other "short courses" (MED) training, pictured below. 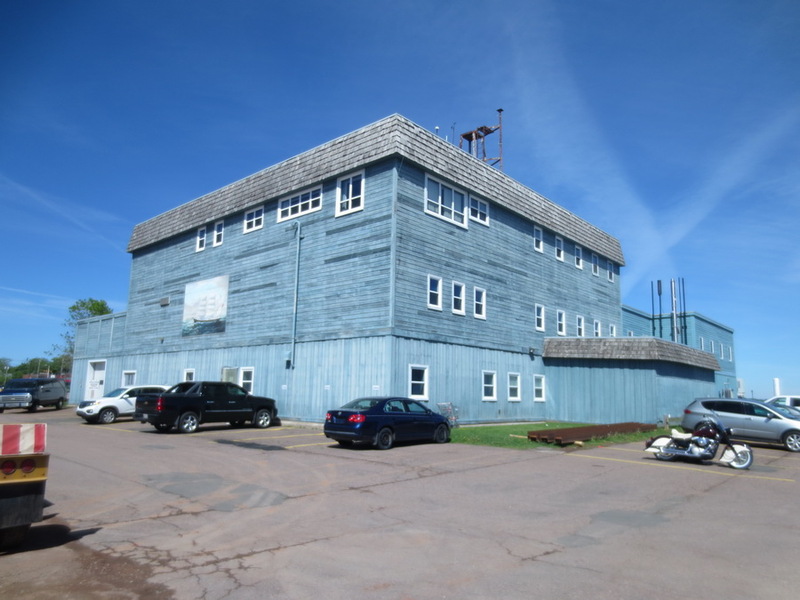 PEI is the smallest province in Canada, and therefor has a modest training system. 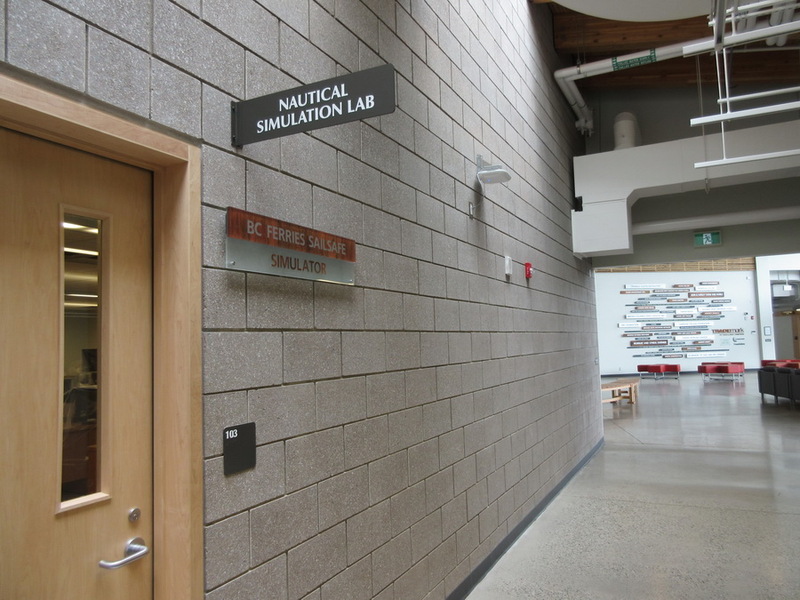 However the Marine Campus is quite busy, offering MED, short courses, and other upgrade courses, however no Cadet programs. 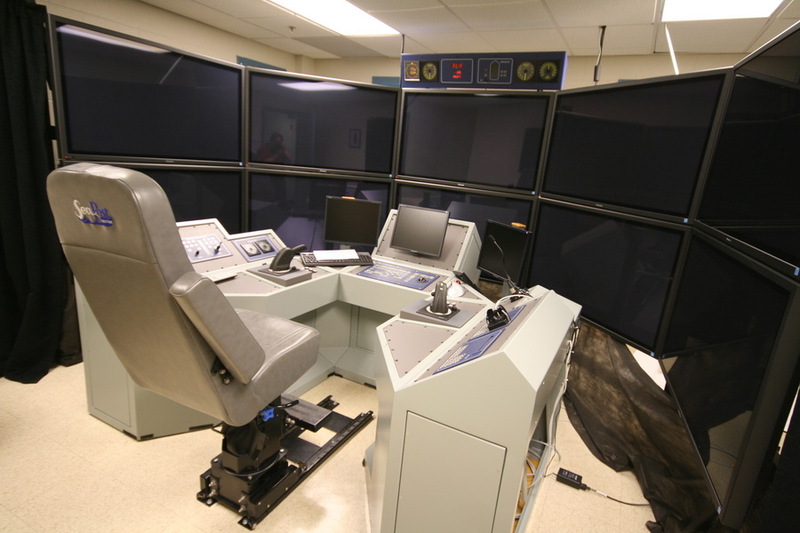 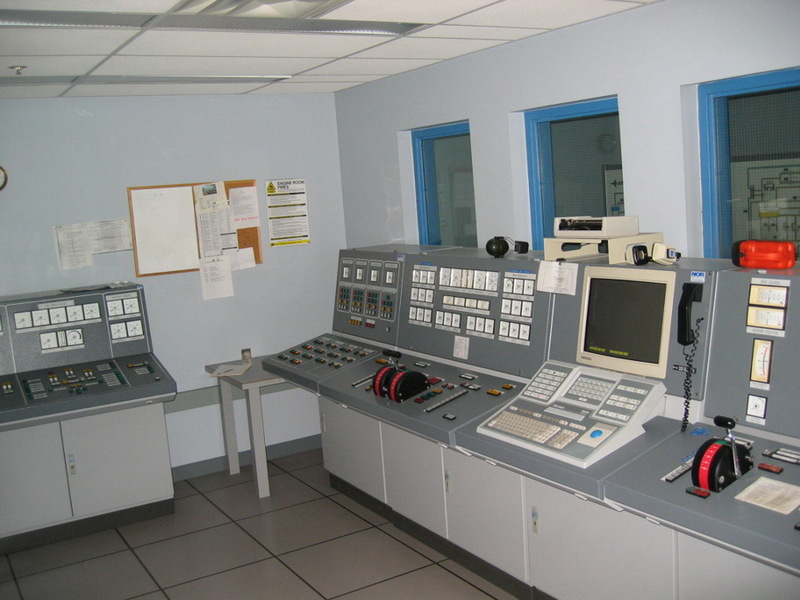 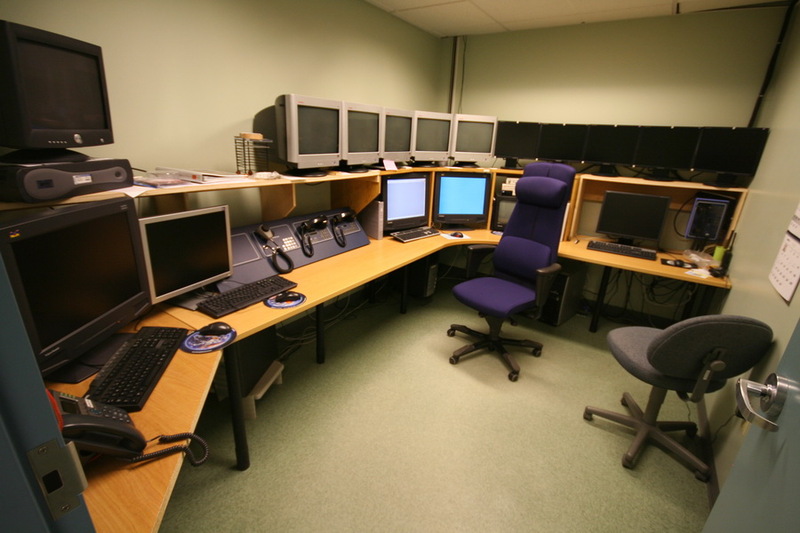 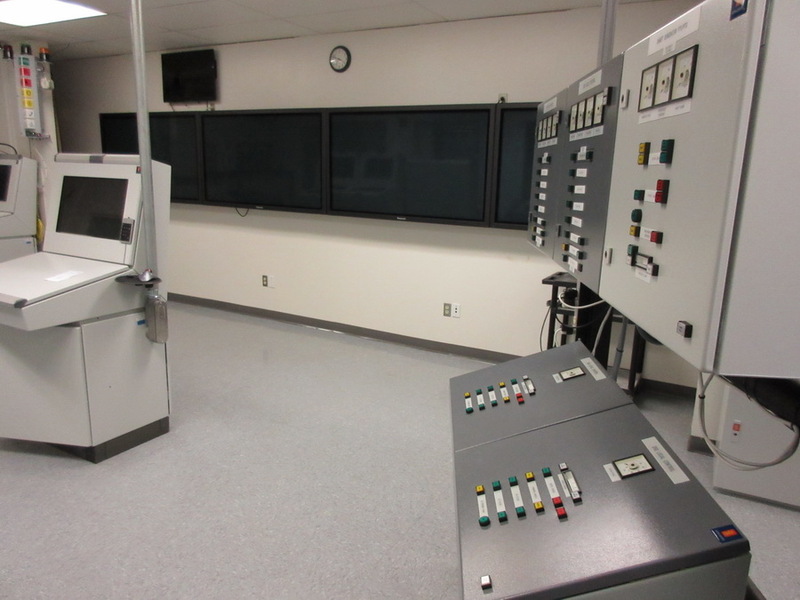 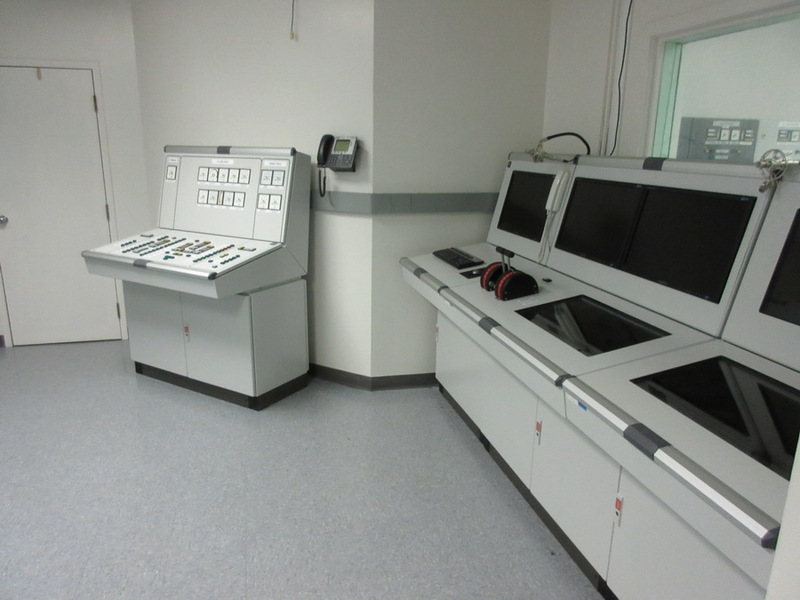 They do have extensive navigation simulator facilities with a full mission bridge simulator, numerous other bridge simulator and and ASD tug simulator. 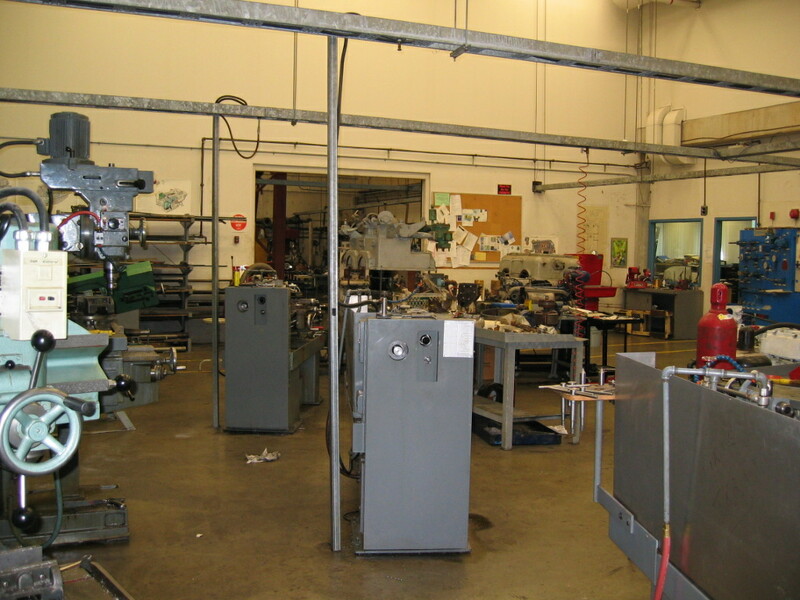 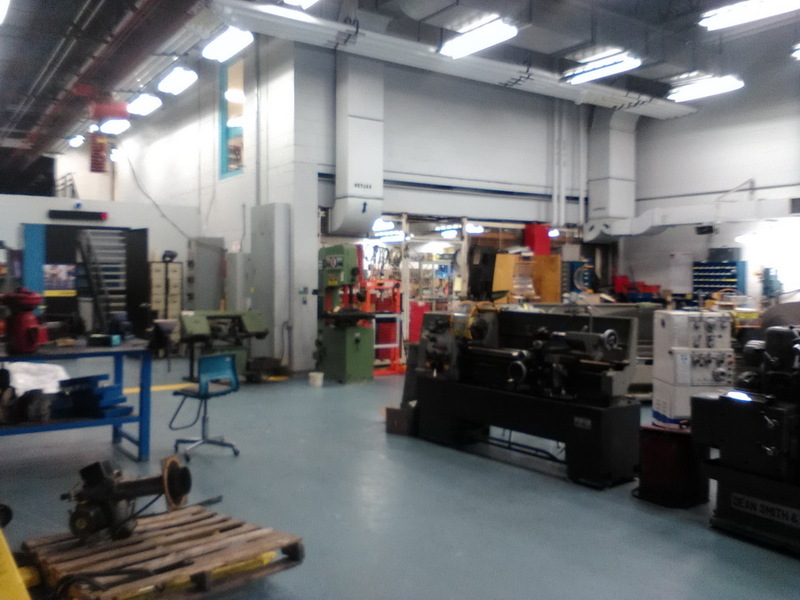 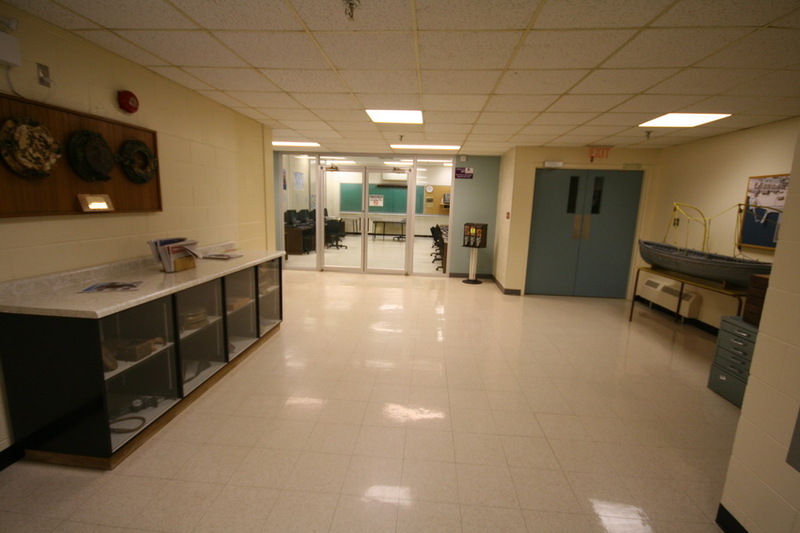 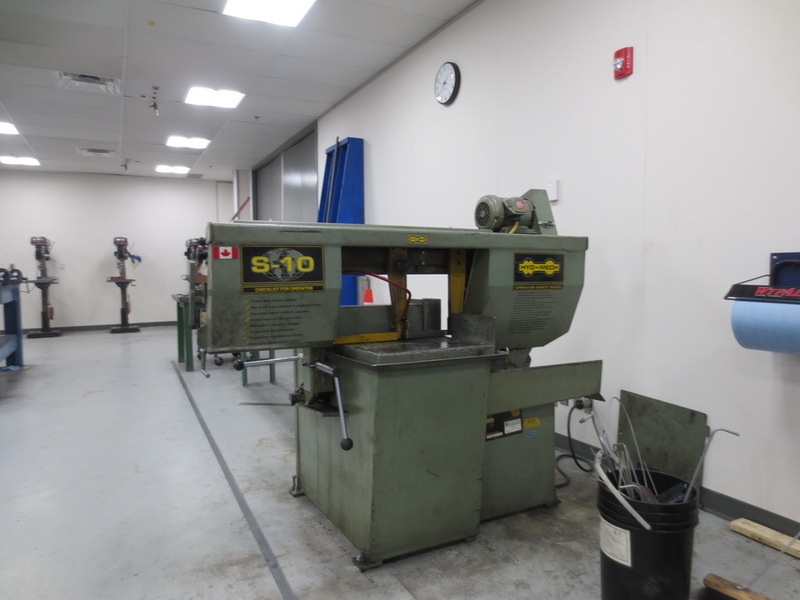 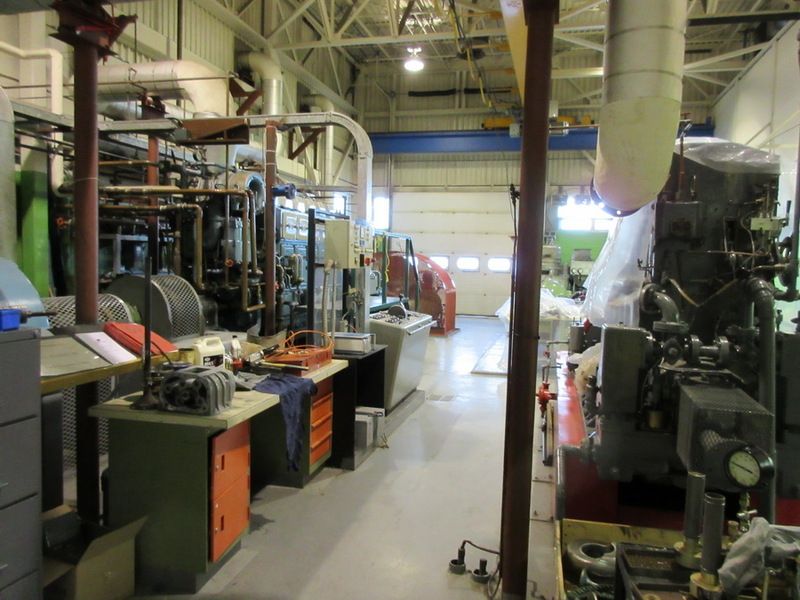 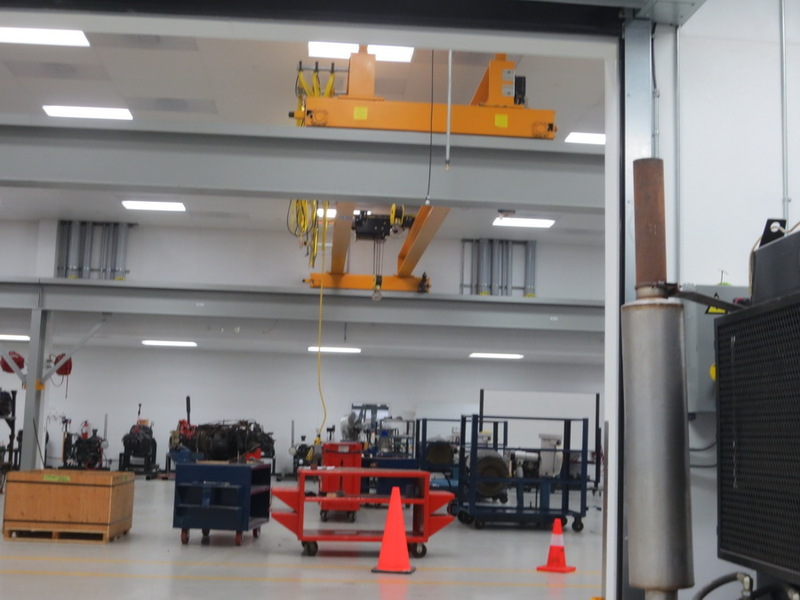 The engineering programs are limited, with modest shop and simulator facilities. 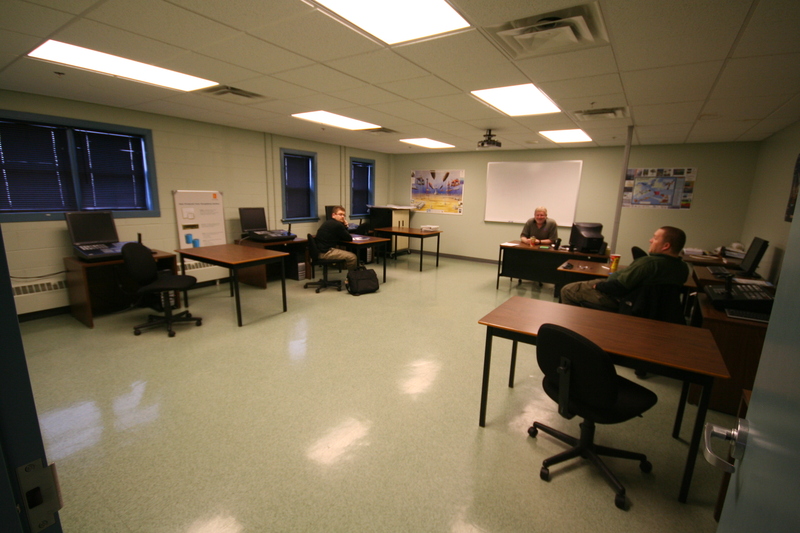 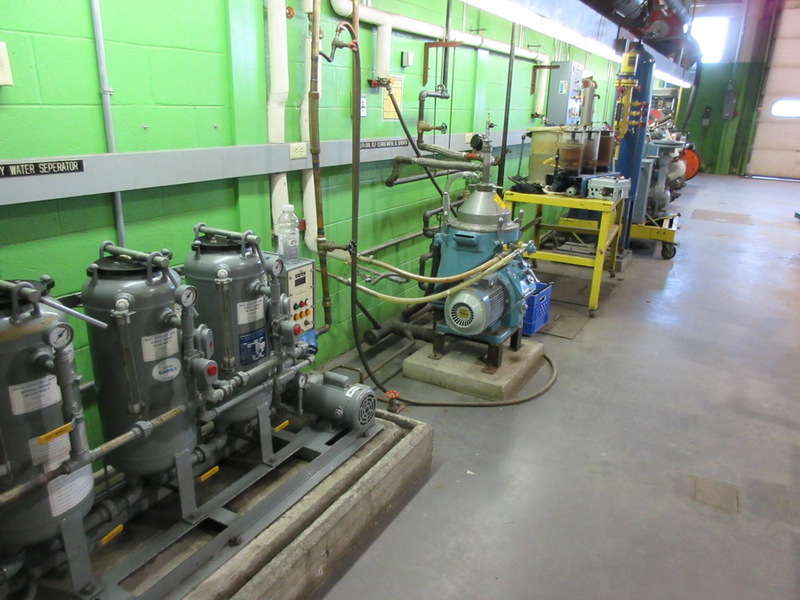 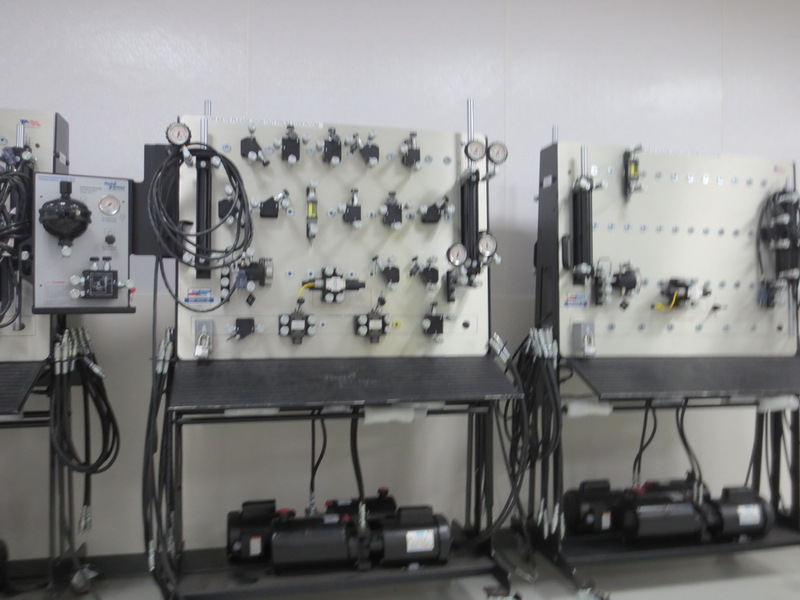 Holland College also offers commercial diving and marine cook training. 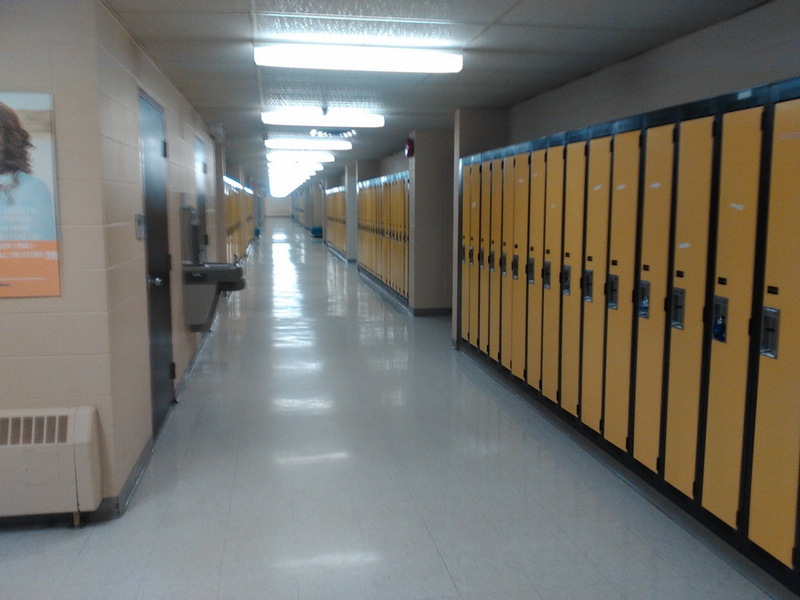 These pictures are mostly from 2009. 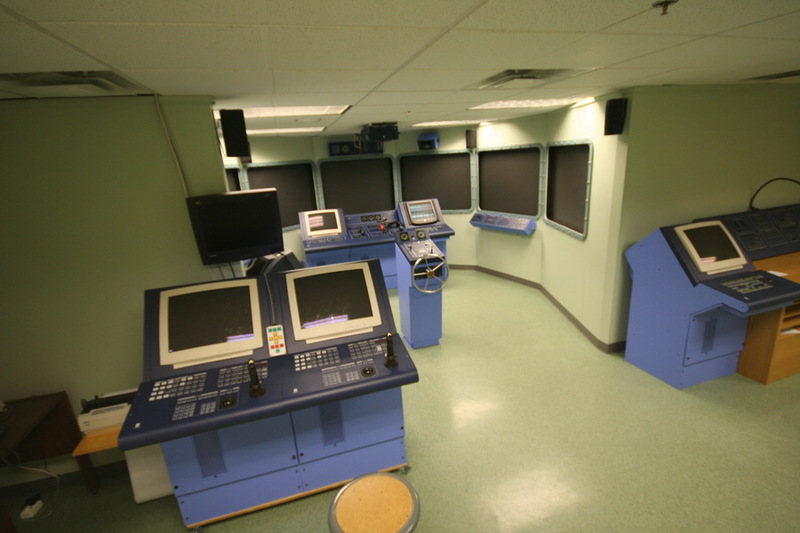 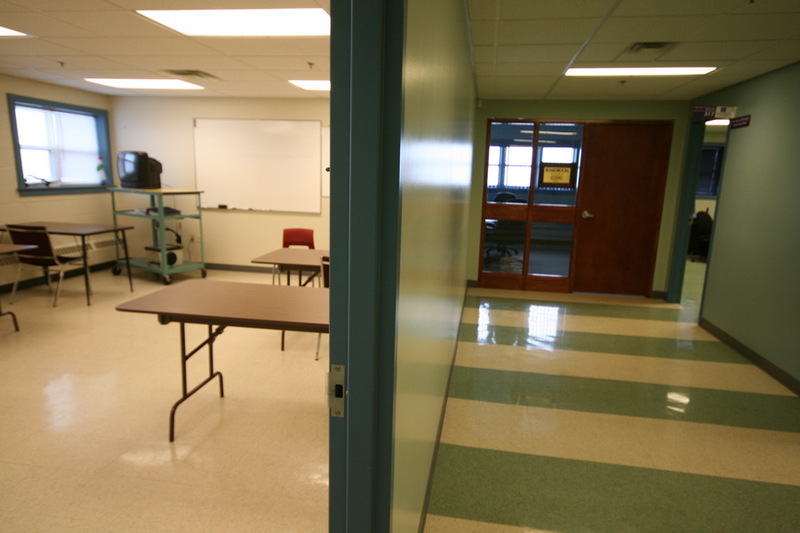 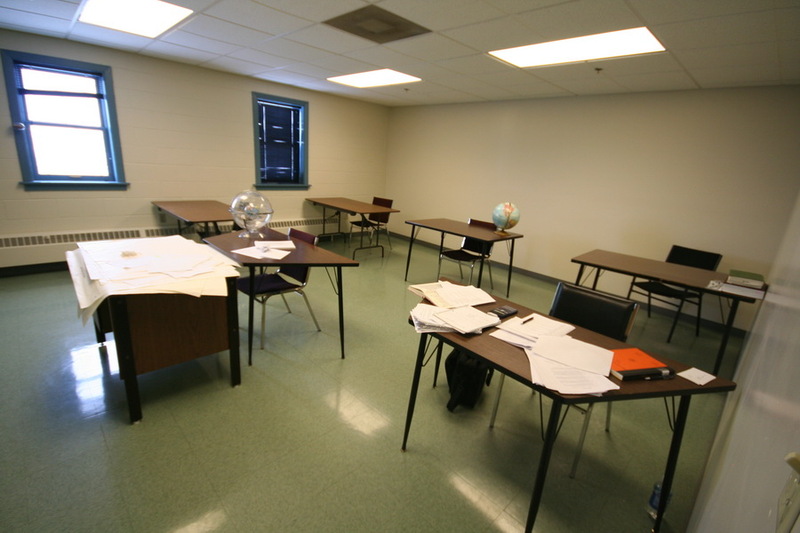 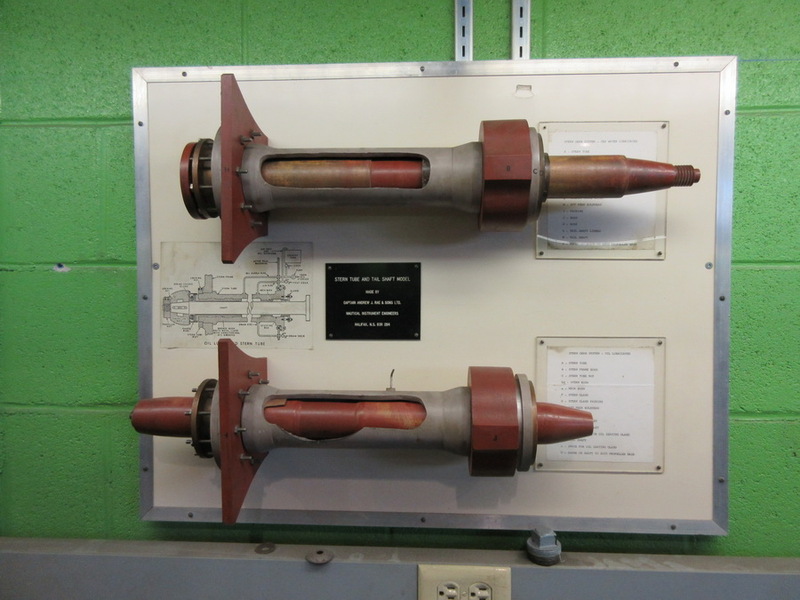 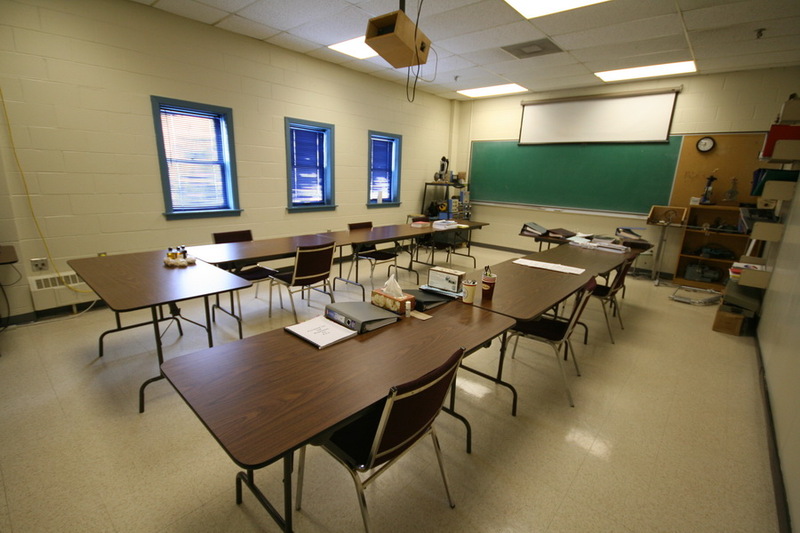 The marine training facility is part of the college's trades program, and includes MED, short courses, and upgrade courses as well as a 4 year Cadet Program for Marine Engineer Officers or Deck officers. 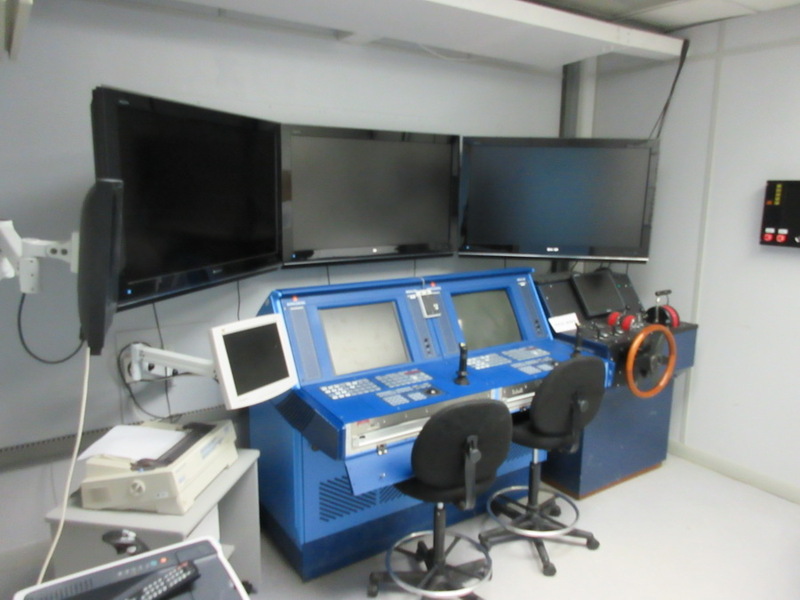 They have a bridge simulator, and a modern engineering simulator, as well as modest workshops and expansive classrooms facilities. 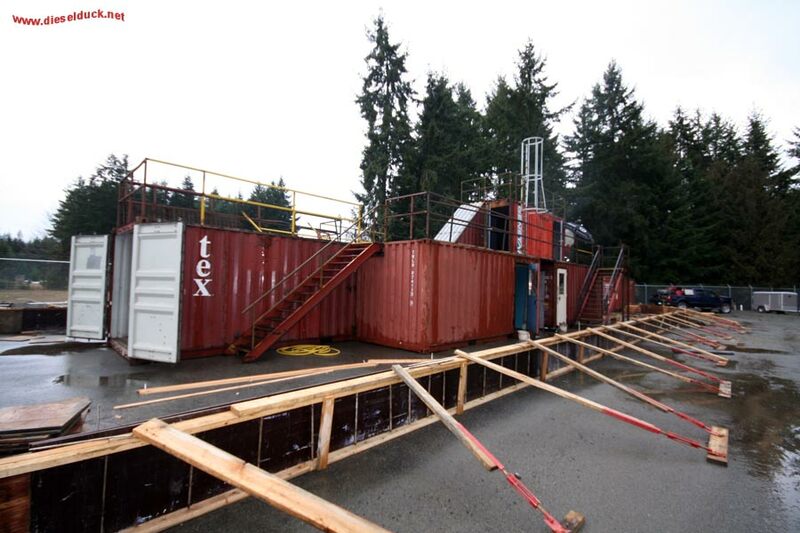 The survival craft facility in on the water's edge, nearby. 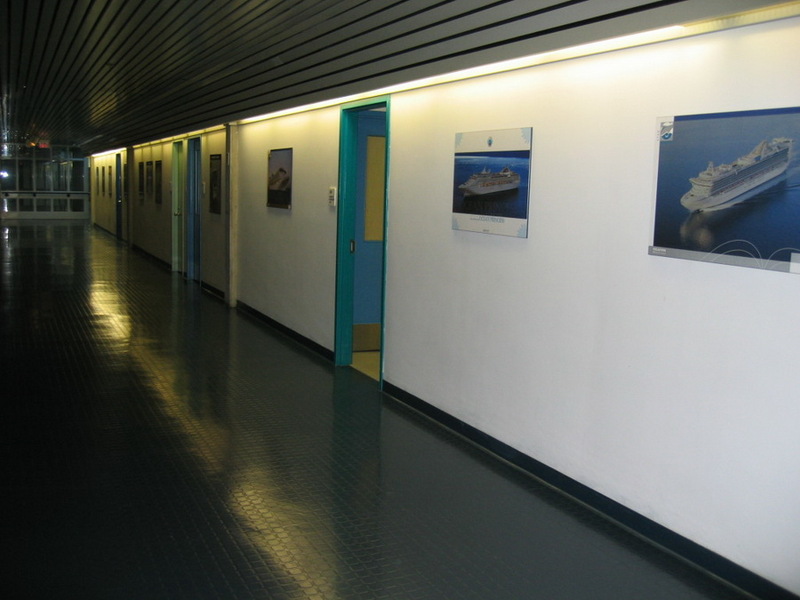 I visited in 2017, however the pictures are less than stellar. 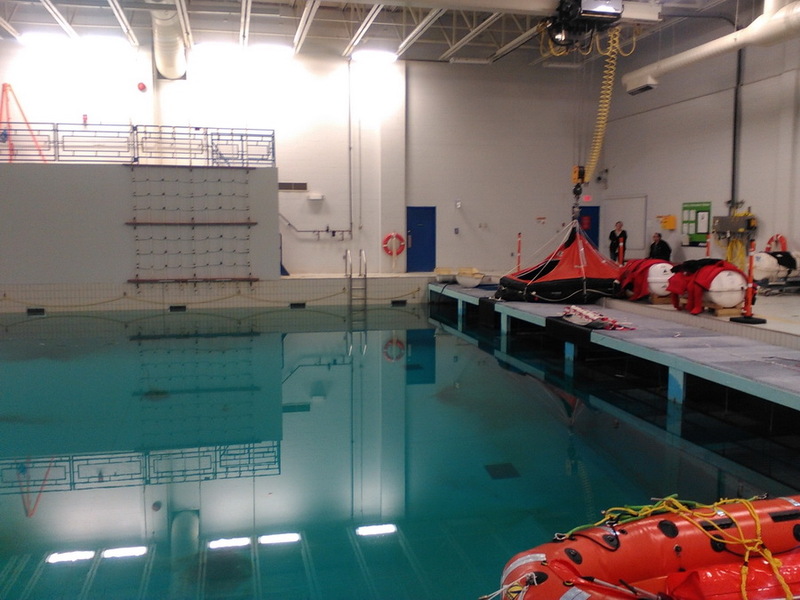 This is the only fully federal funded non military training facility in Canada, and therefore has considerable facilities, including vessels and housing onsite. 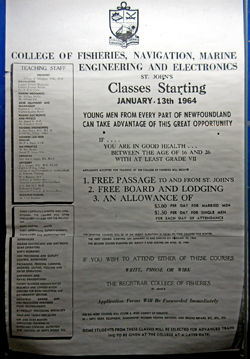 The college has been steadily producing engine and deck officers for many decades, and most move into policy roles after their time in the Canadian Coast Guard. 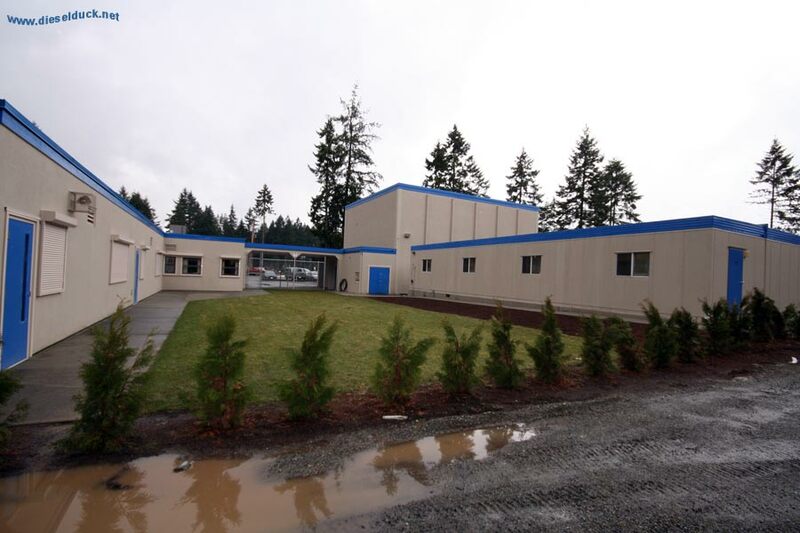 I am looking forward to visiting this facility in the near future. 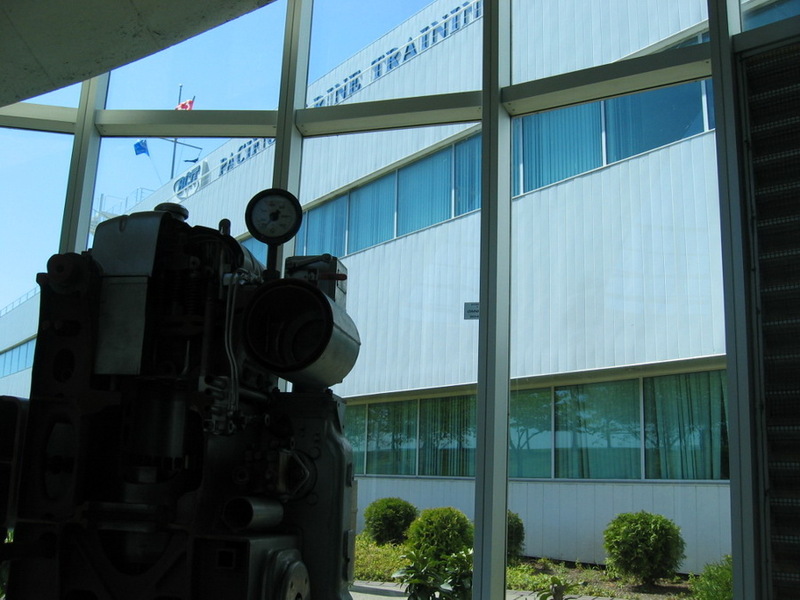 Perhaps the largest marine training facility in Canada, which has been offering full course programs including Deck and Engine Cadet programs, short courses and MED training for many years. 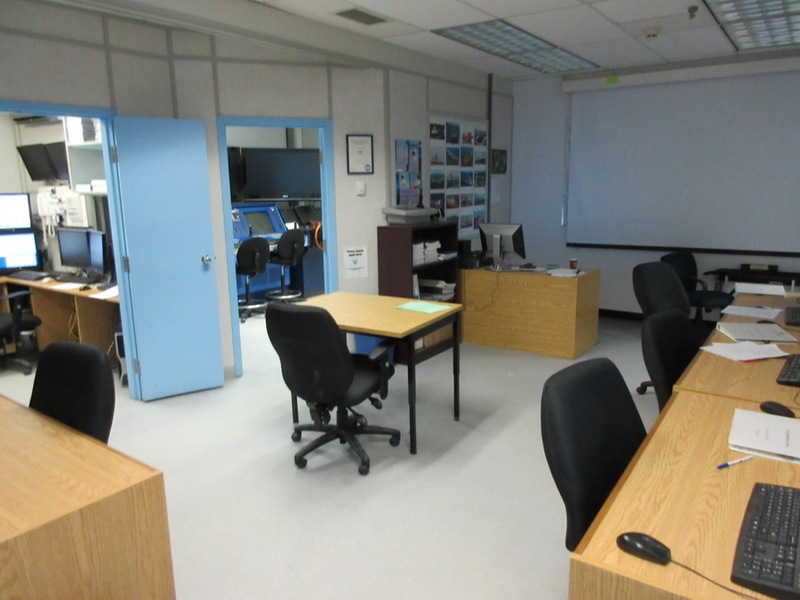 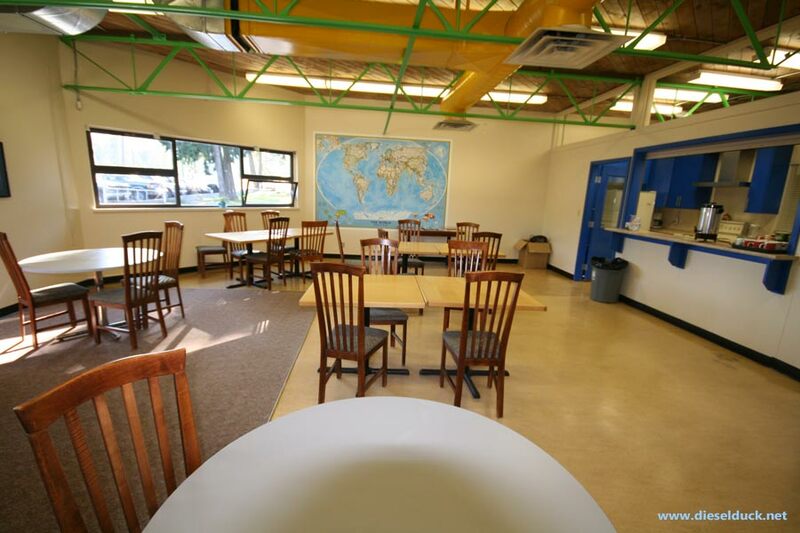 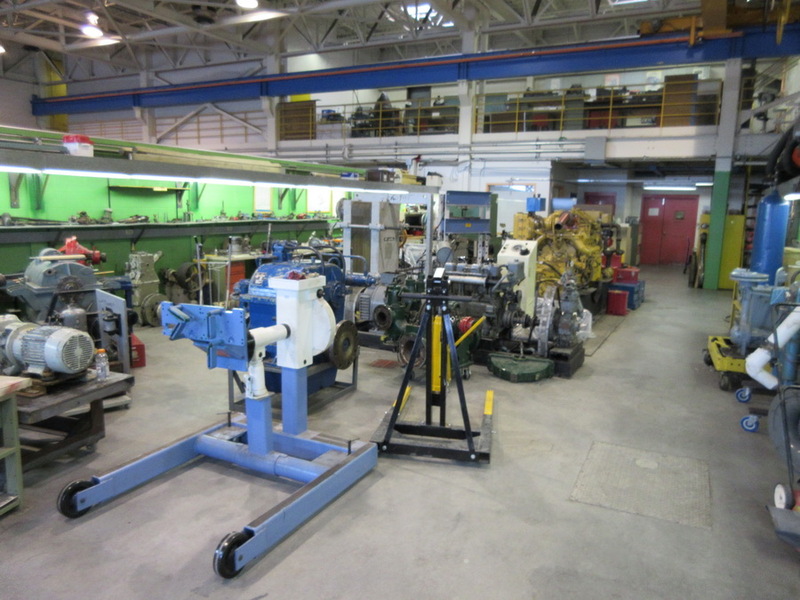 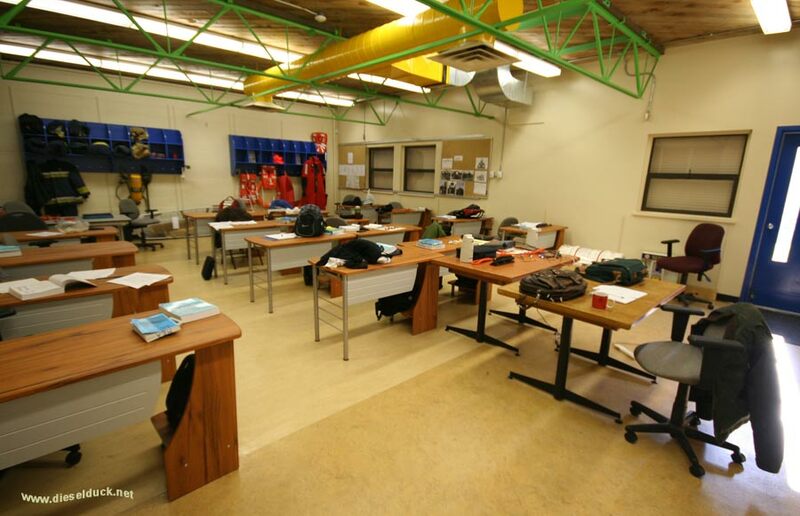 With a busy offshore industry and considerable government funding, the Marine Institute has ample facilities including modern engine simulator(s), Canada's only full mission, full motion, bridge simulator, and as well a numerous workshops and class rooms. 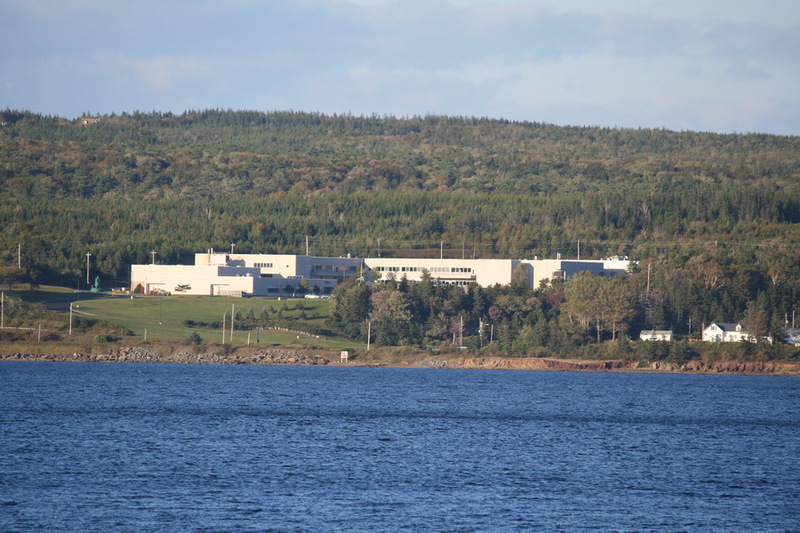 They have satellite training facility on the harbour, and some throughout the province as well. 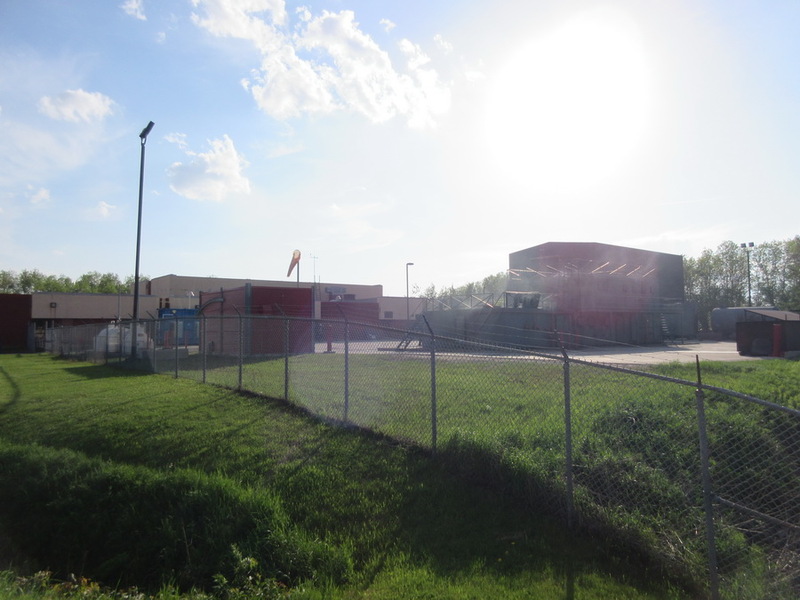 These pictures are from 2015.